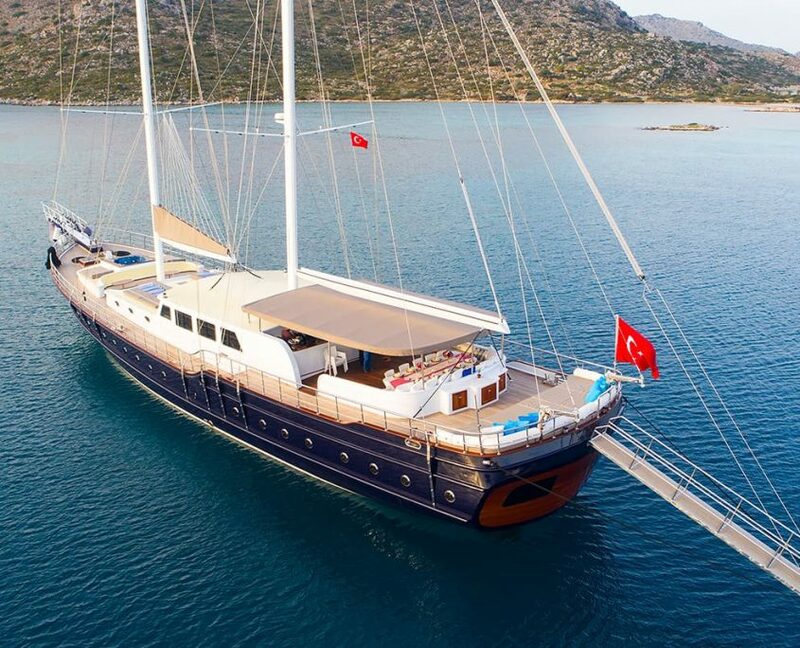 Have a question about Gulet Nevra Queen? 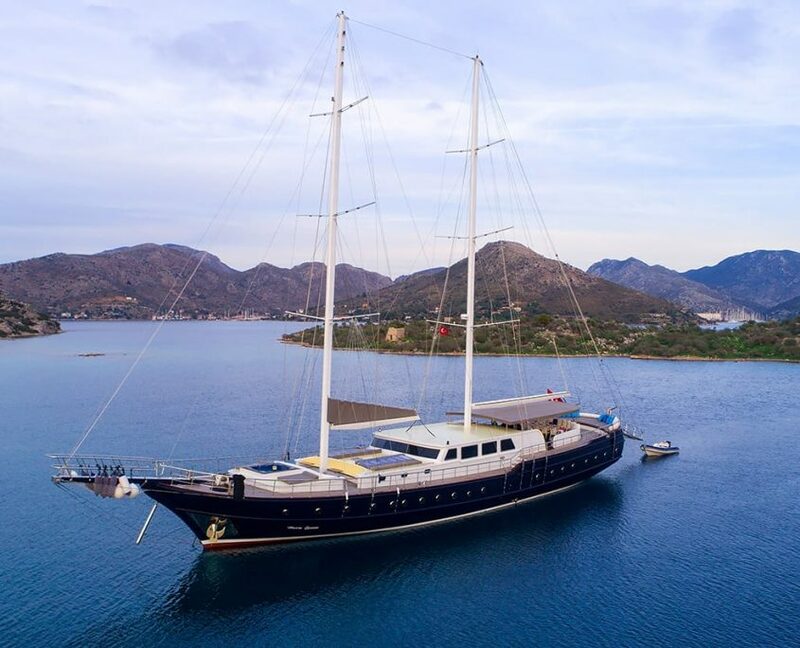 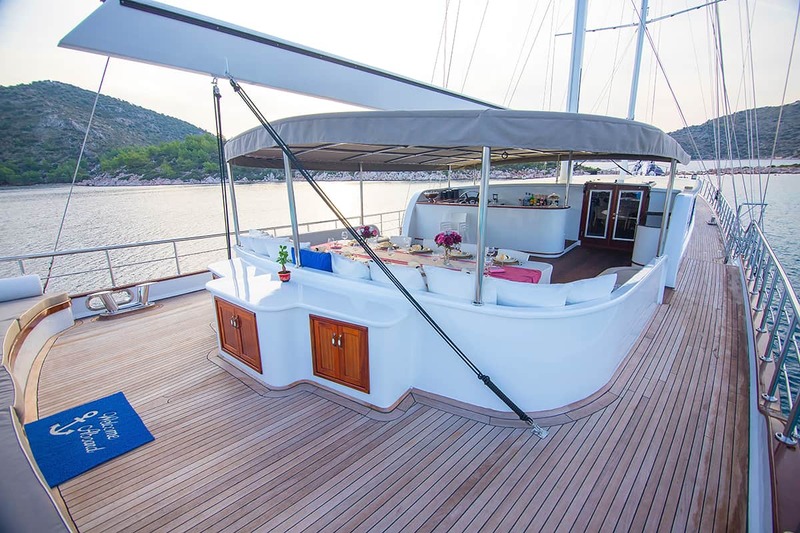 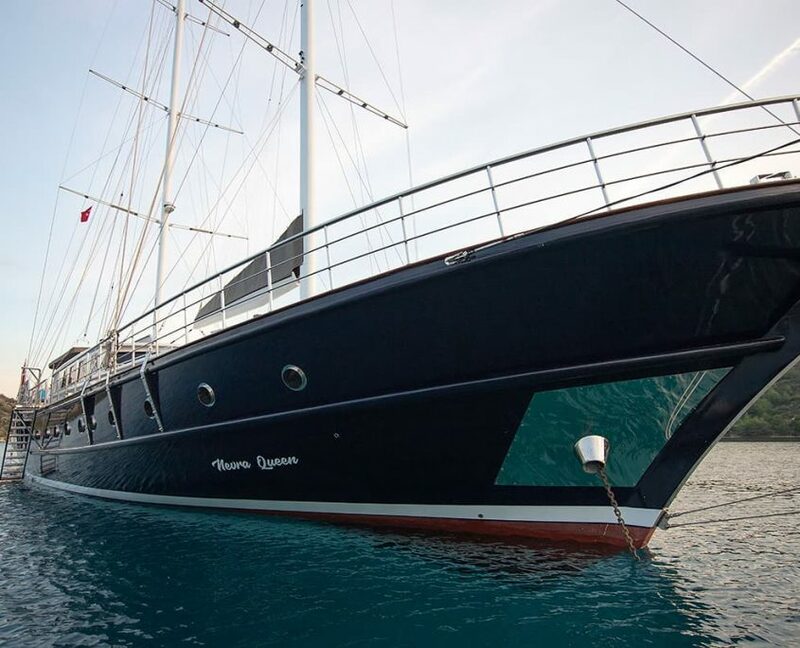 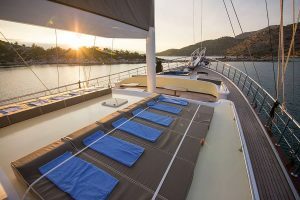 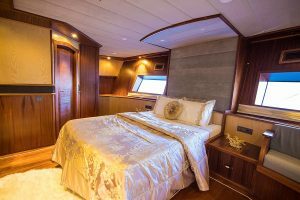 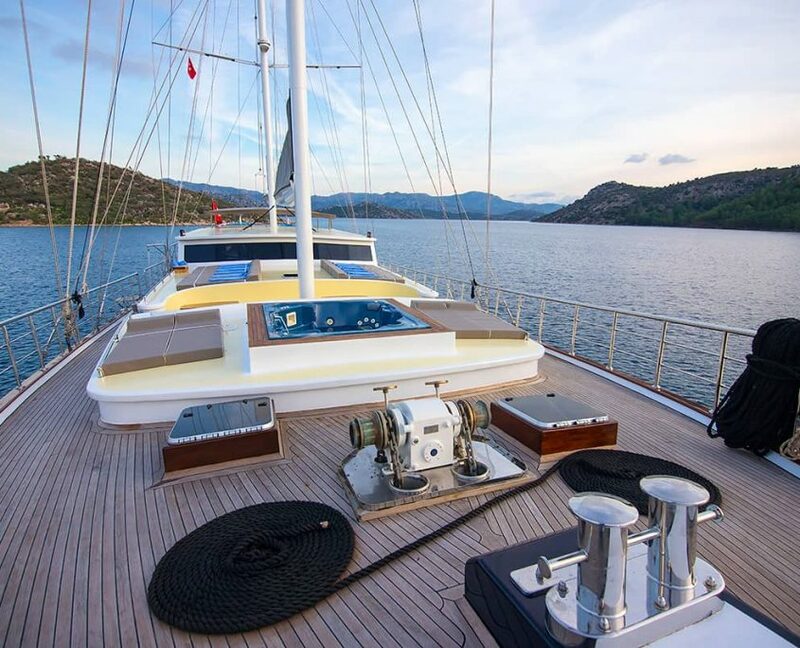 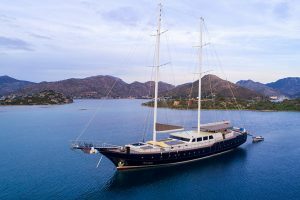 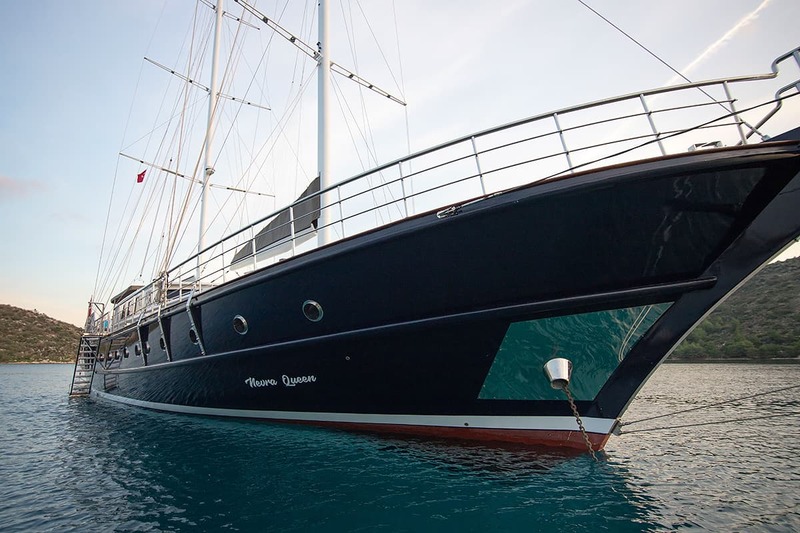 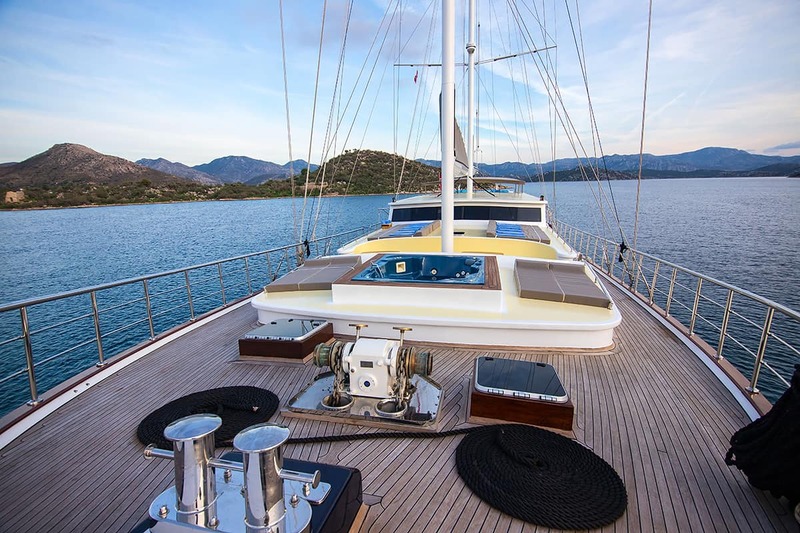 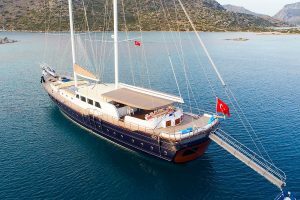 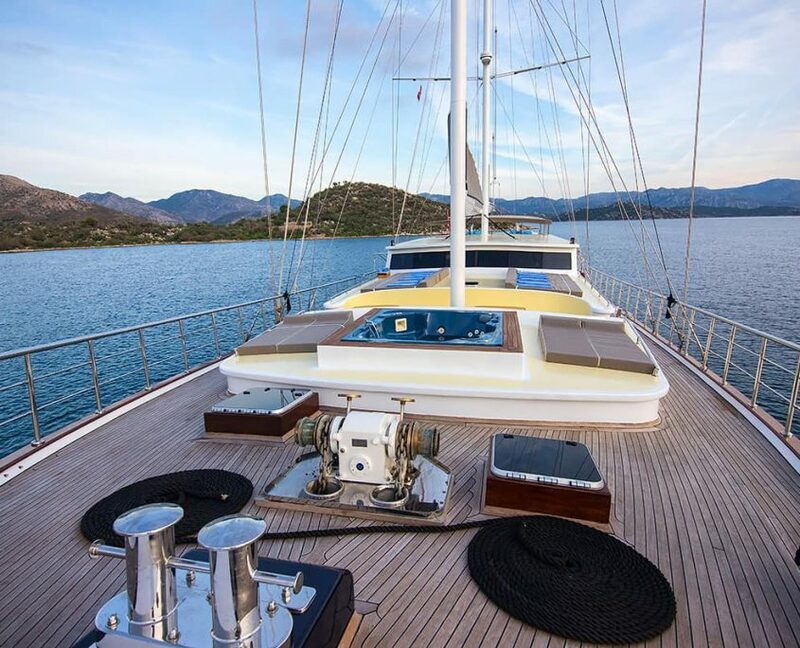 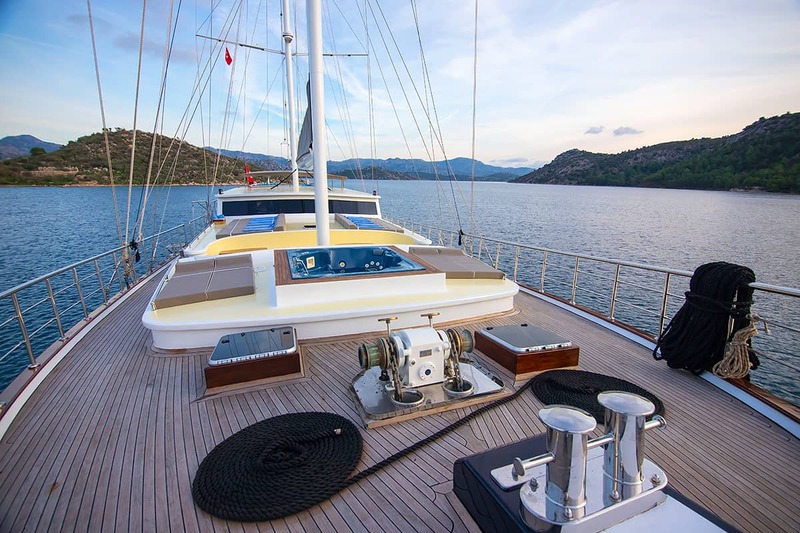 Nevra Queen is a superb newly built gulet yacht ready for season 2019. 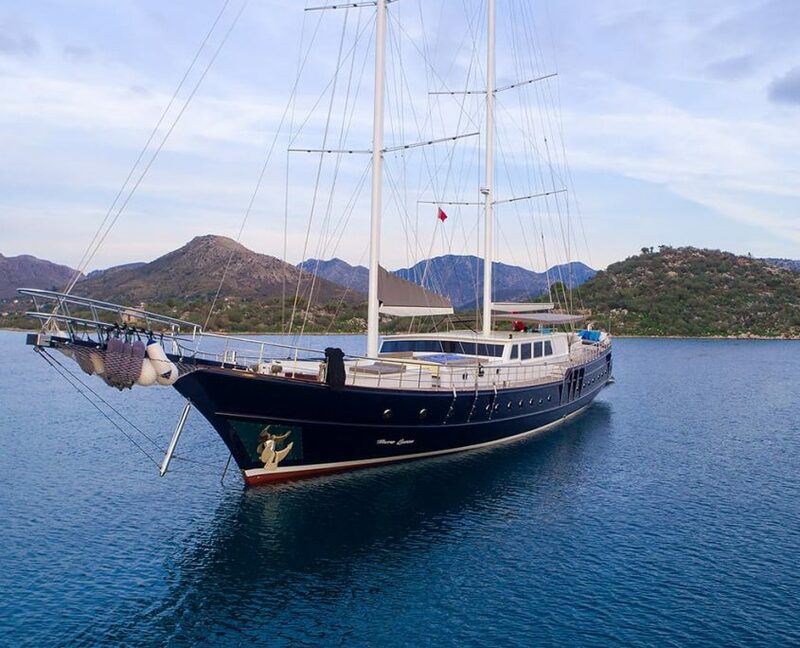 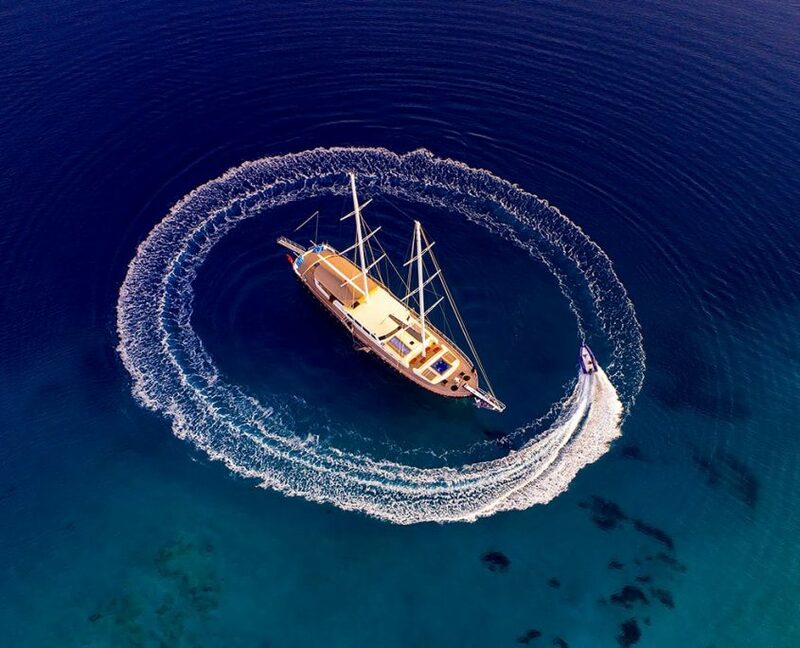 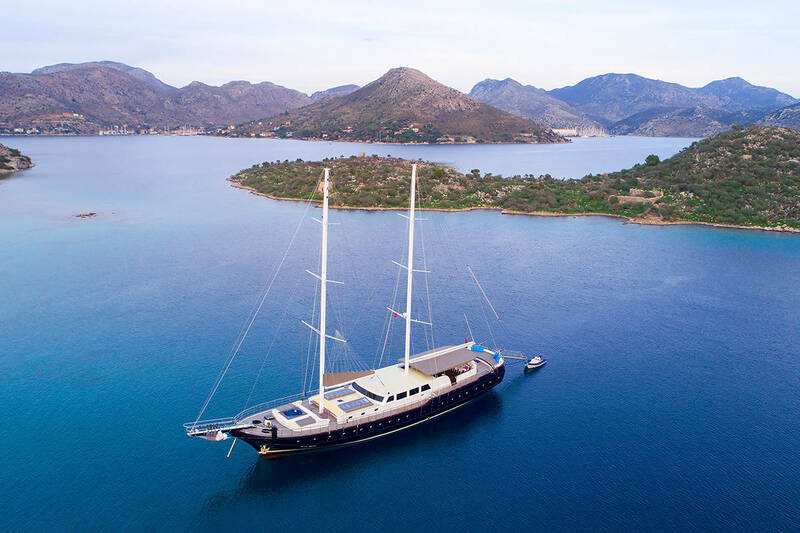 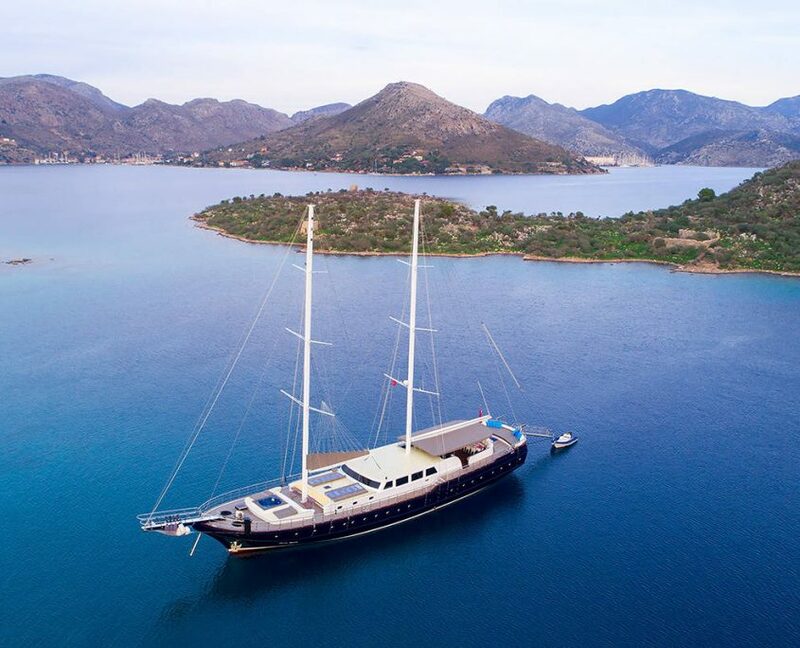 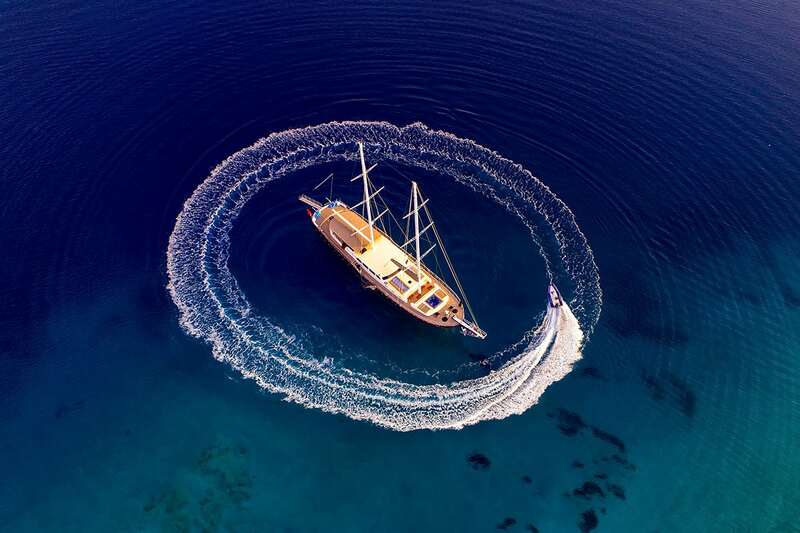 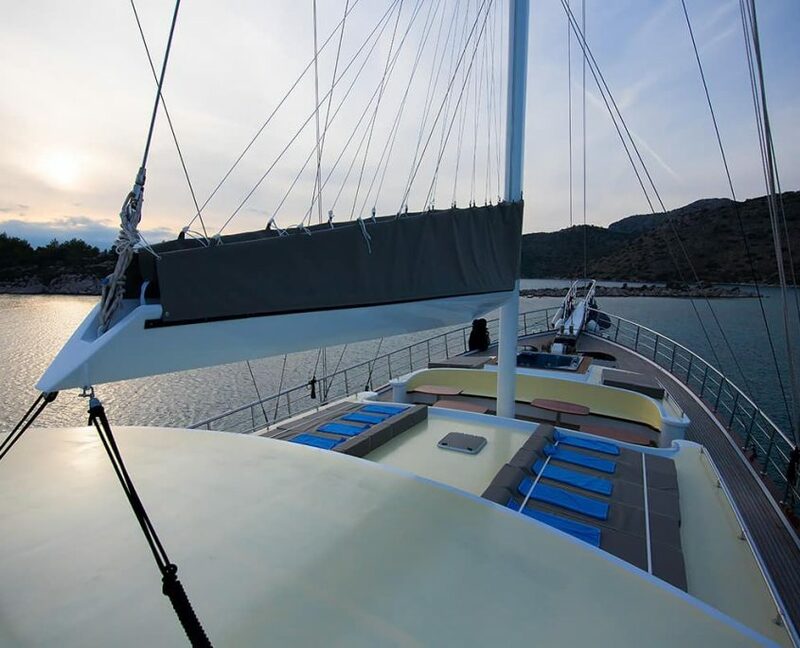 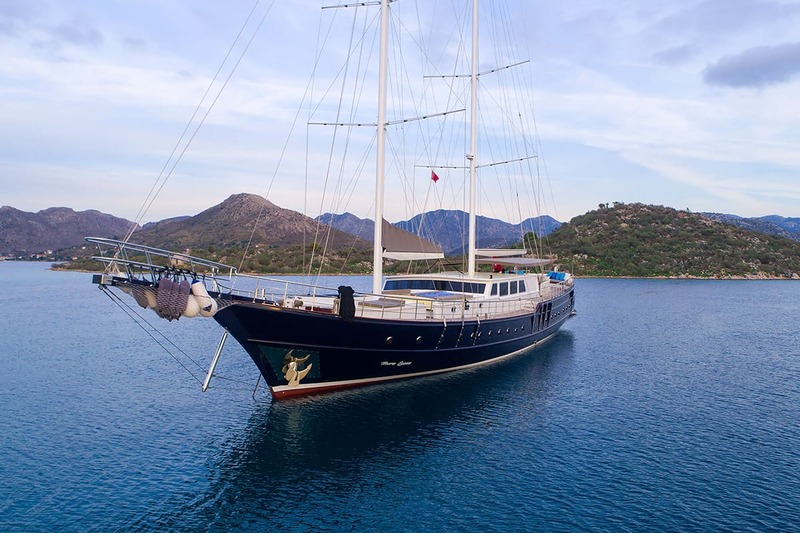 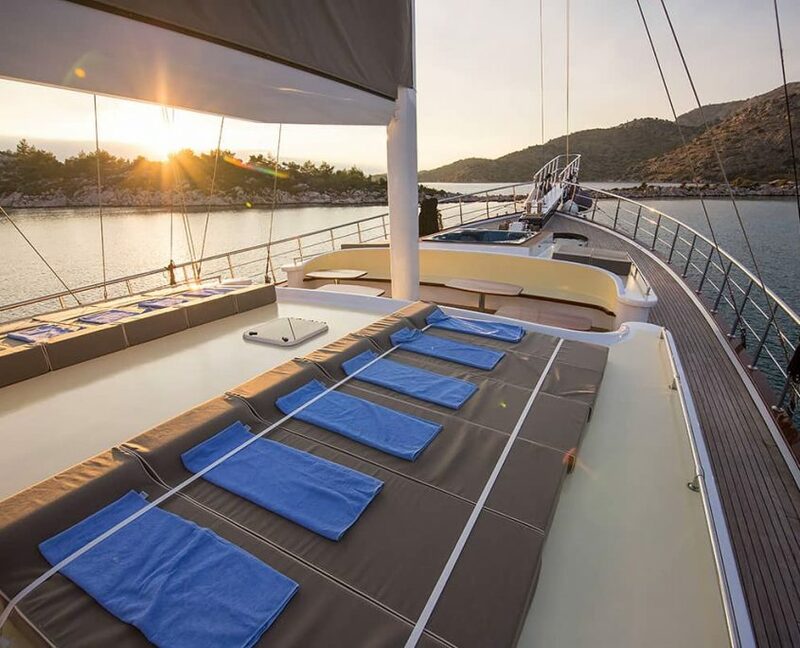 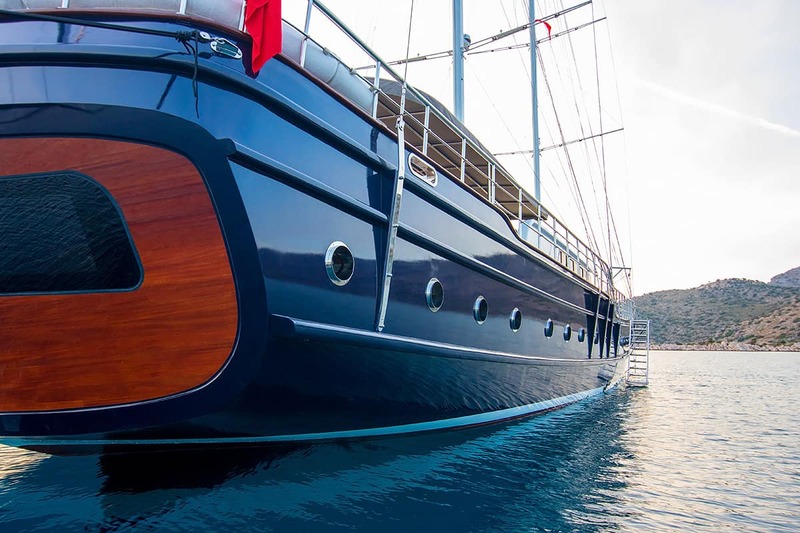 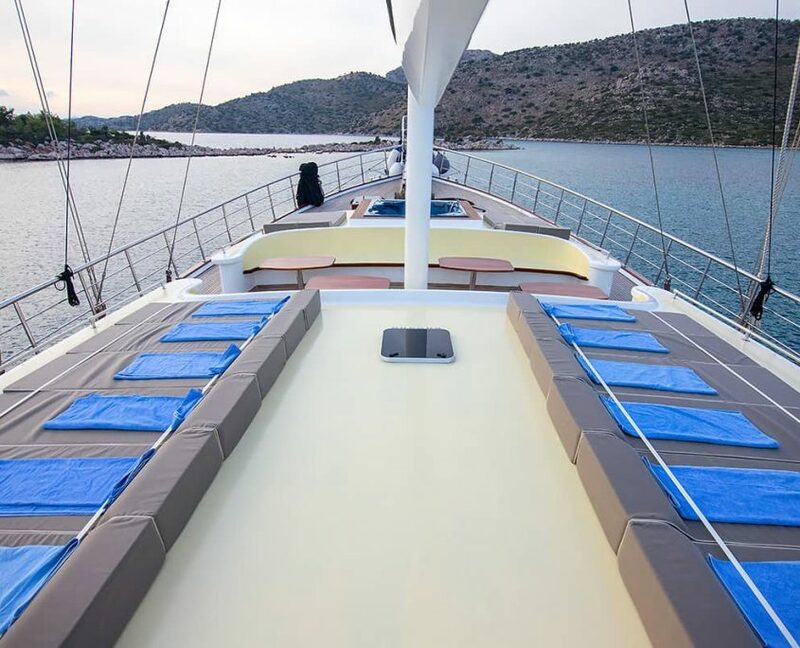 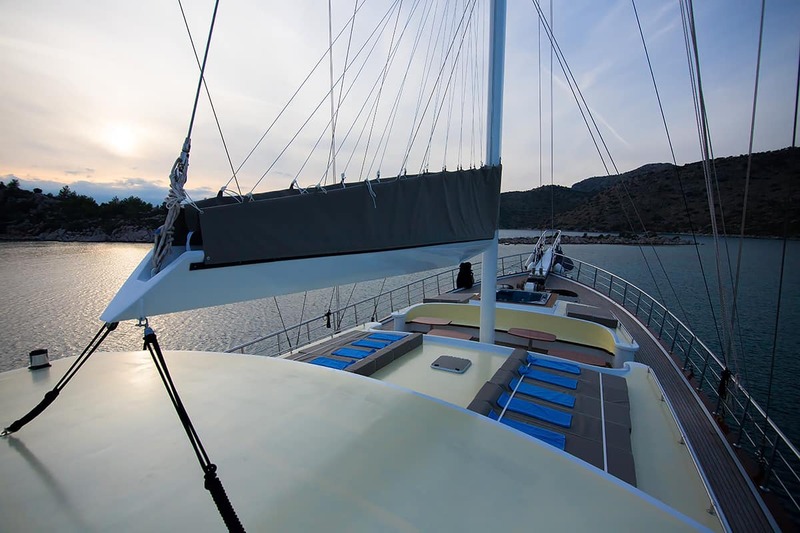 Gulet is designed to provide you with a luxury blue cruise experience in style and comfort. 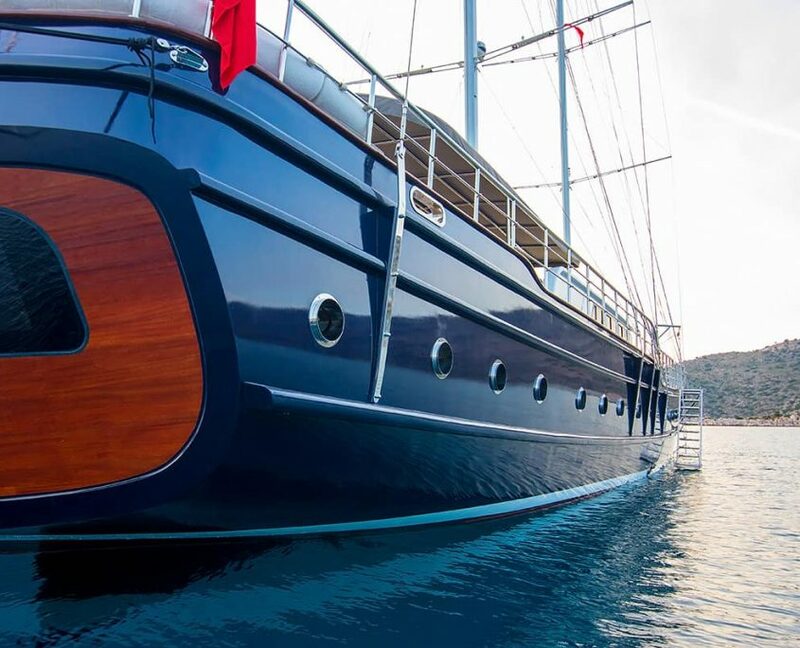 Each detail is carefully thought out to ensure you don’t miss a thing. 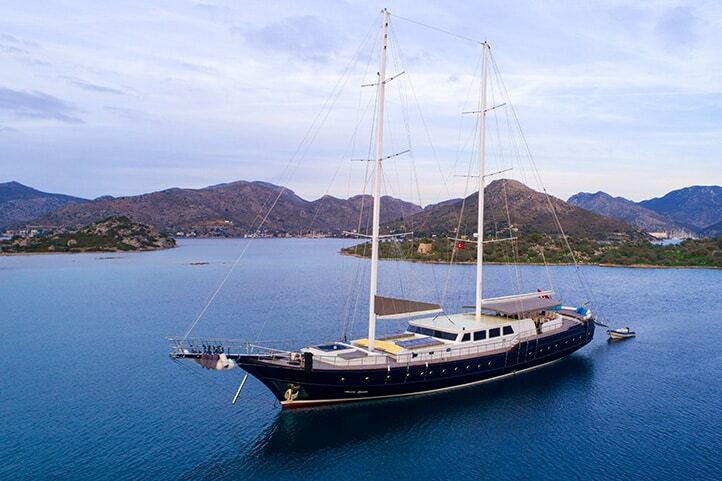 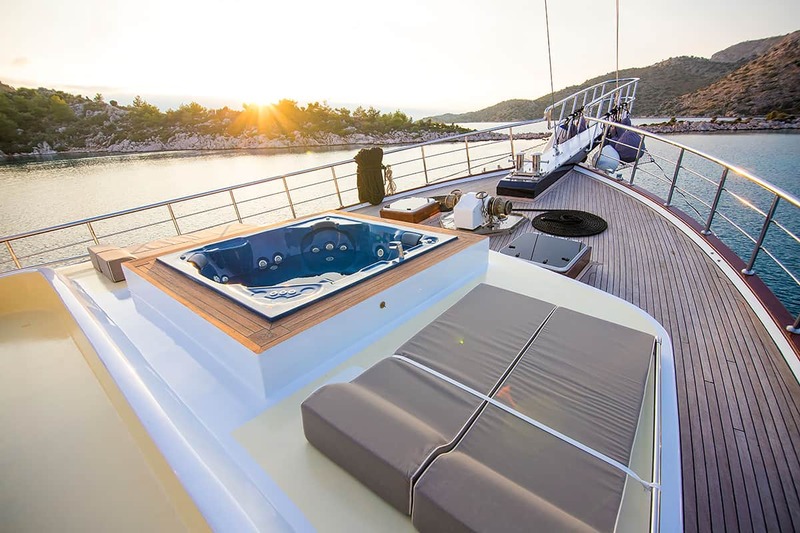 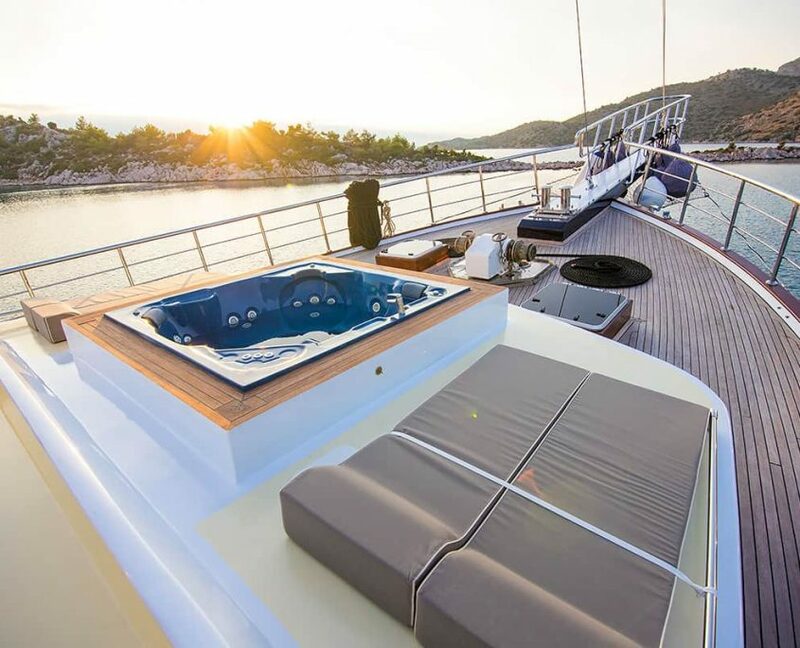 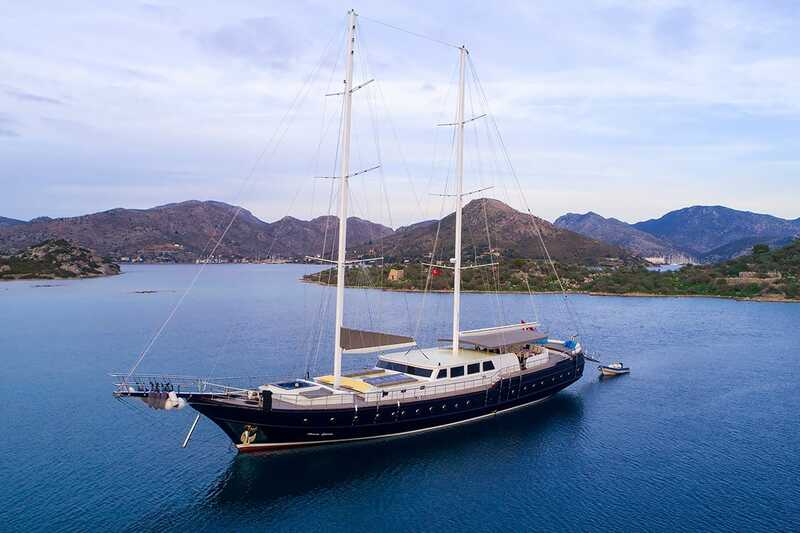 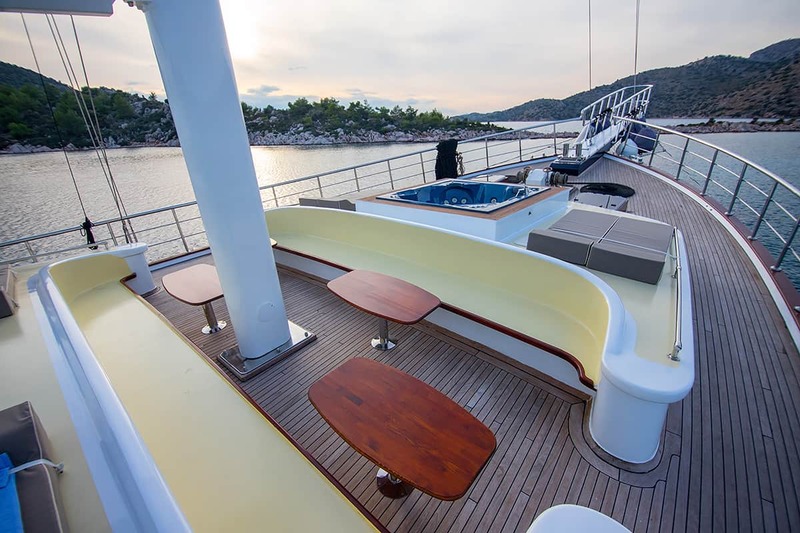 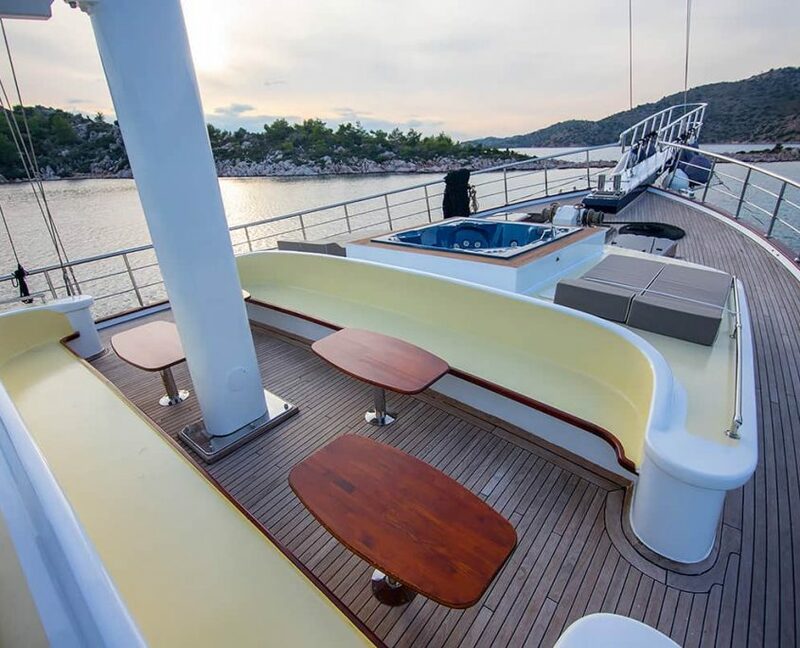 With its 40 meters in length, it is perfect for luxury charter for large groups and families. 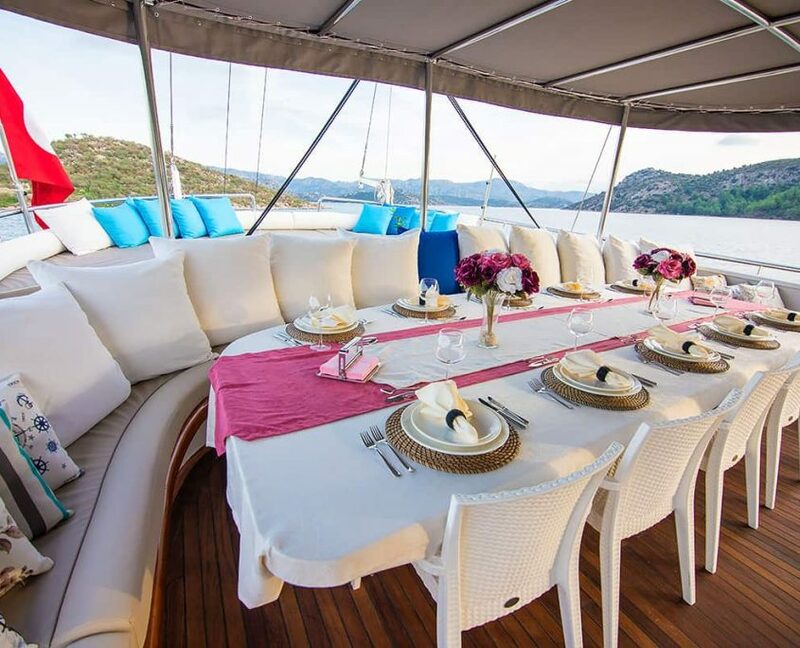 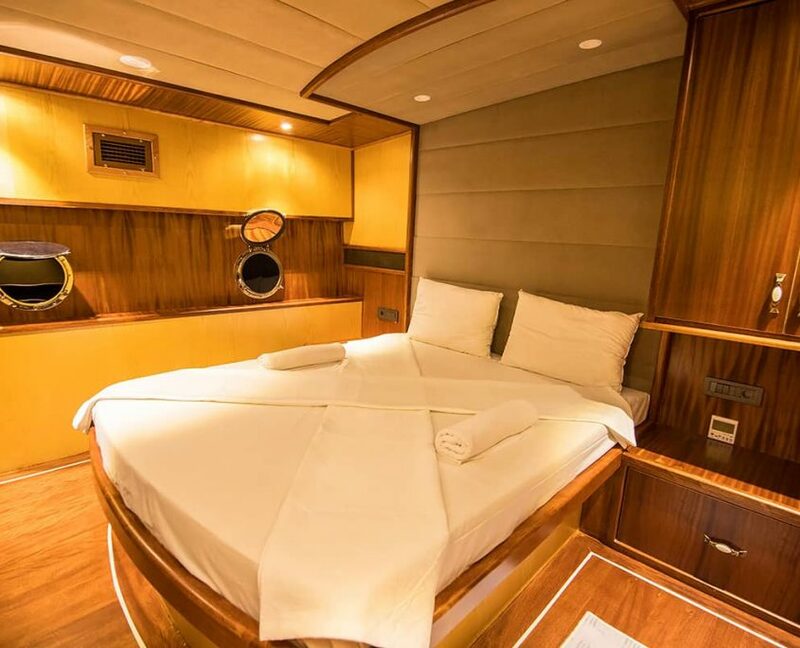 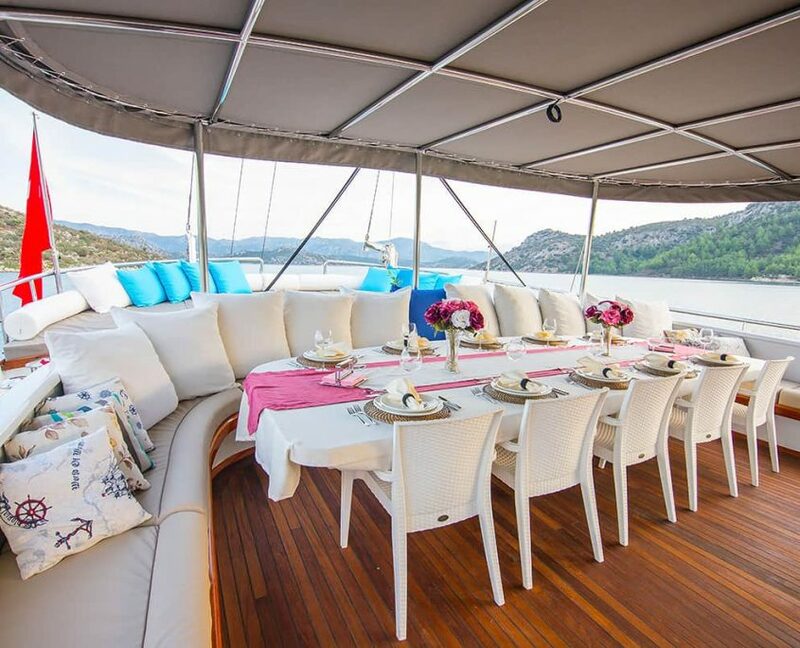 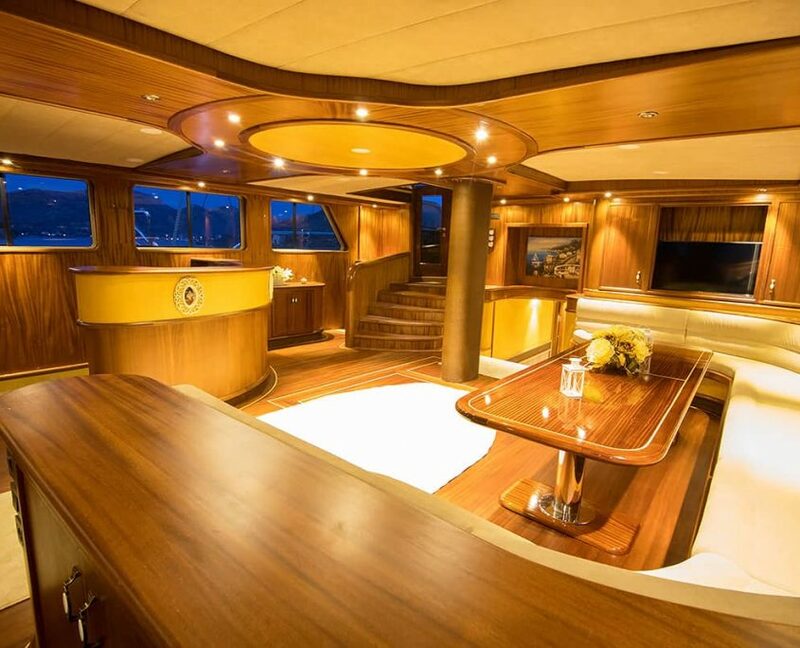 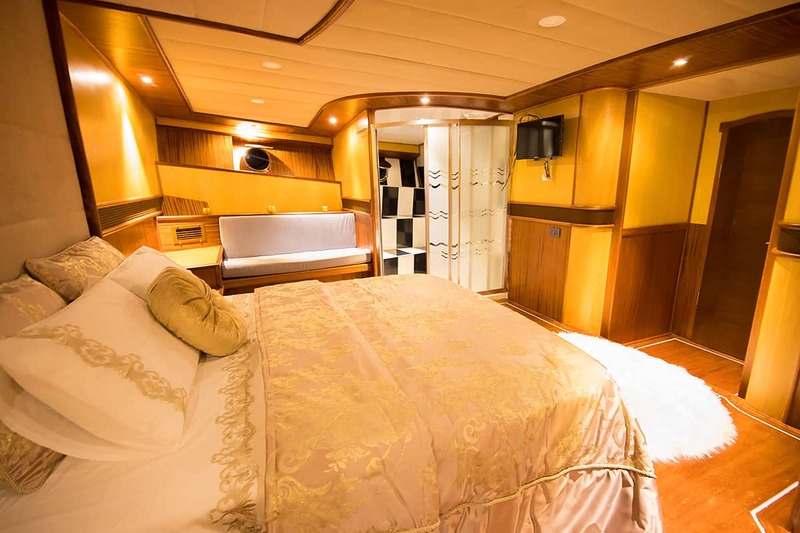 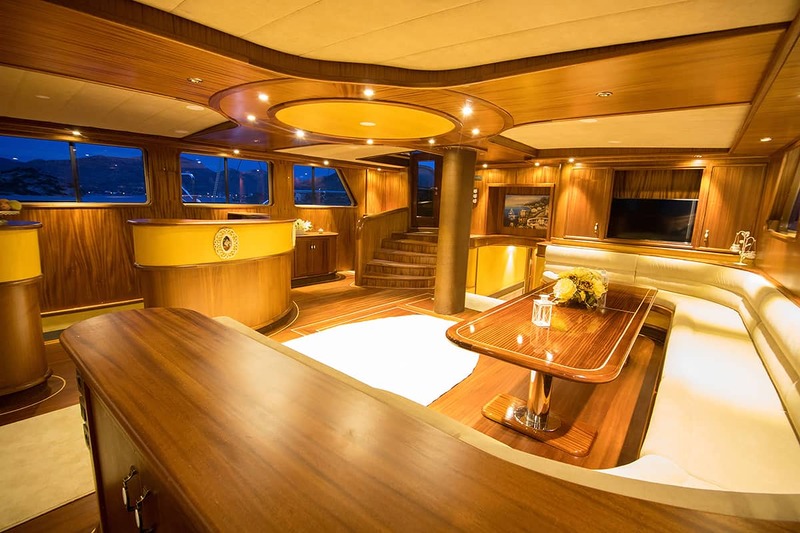 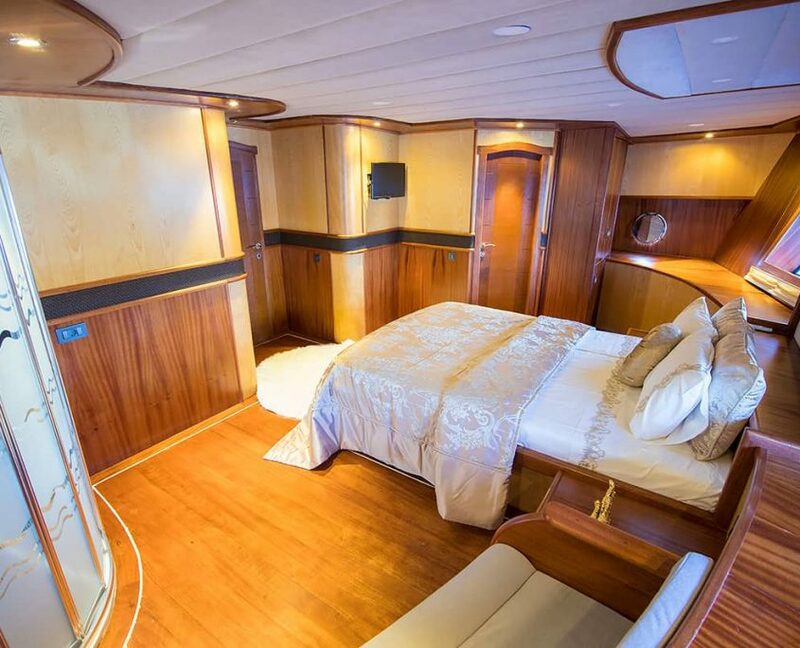 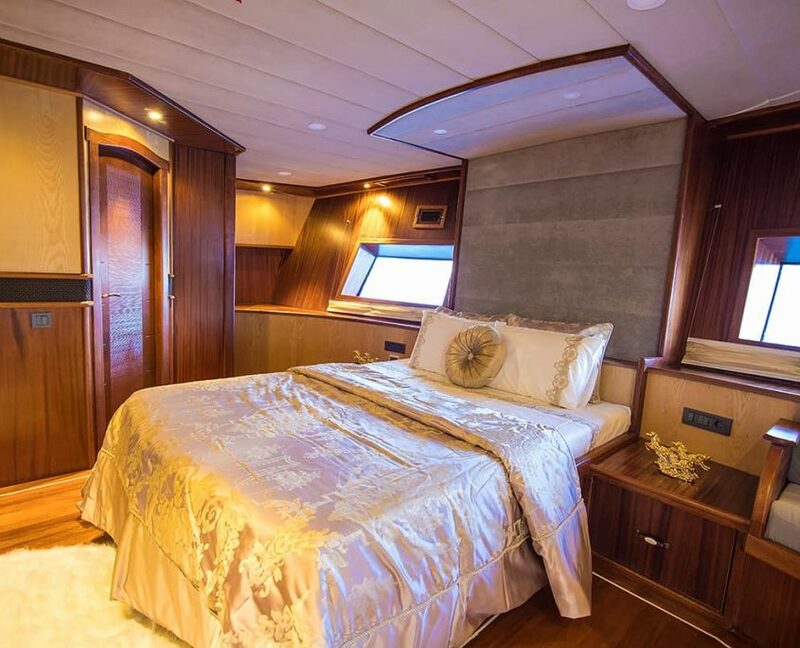 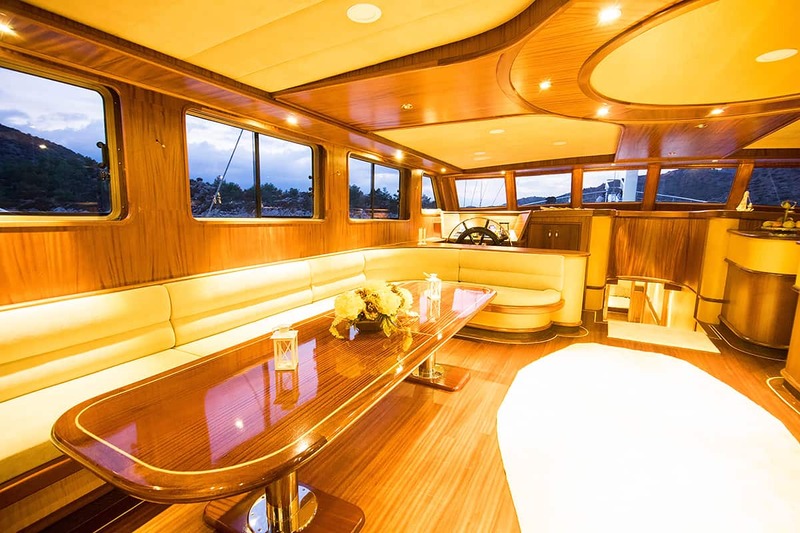 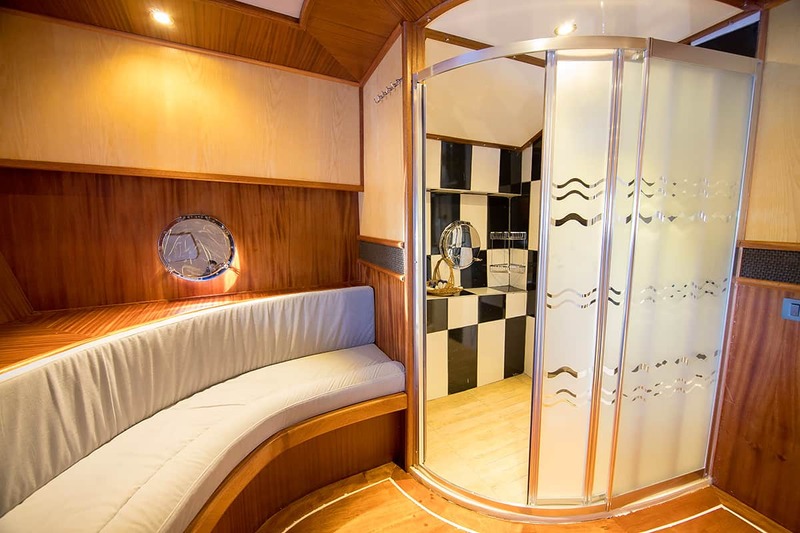 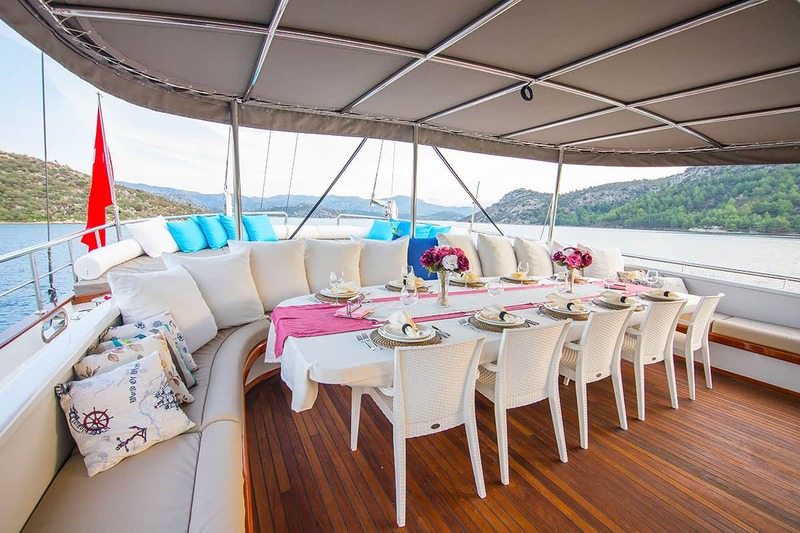 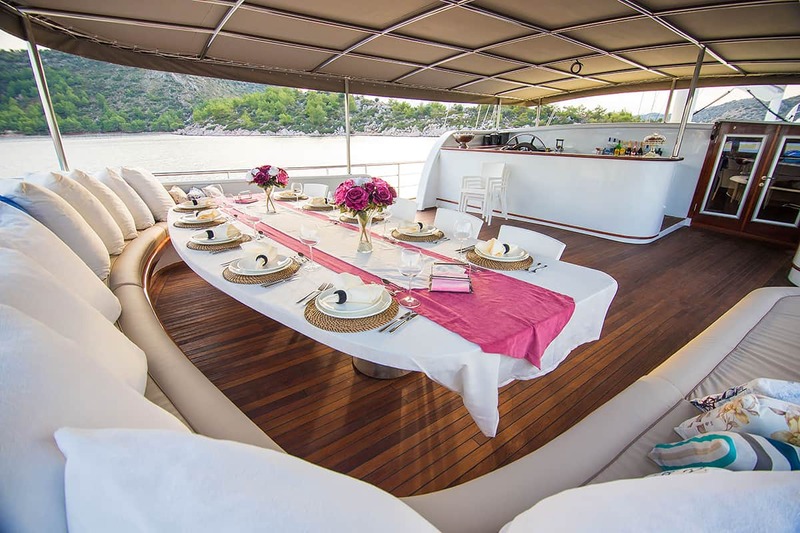 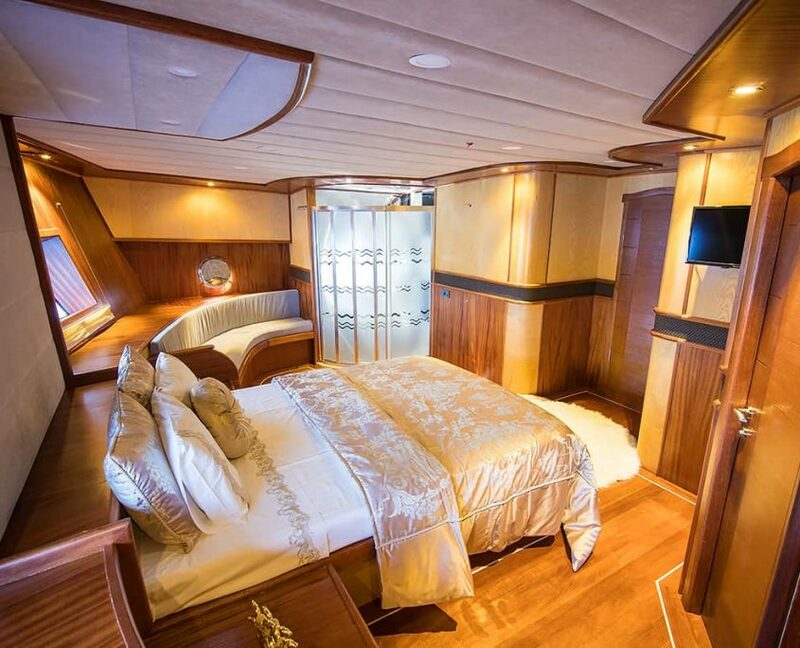 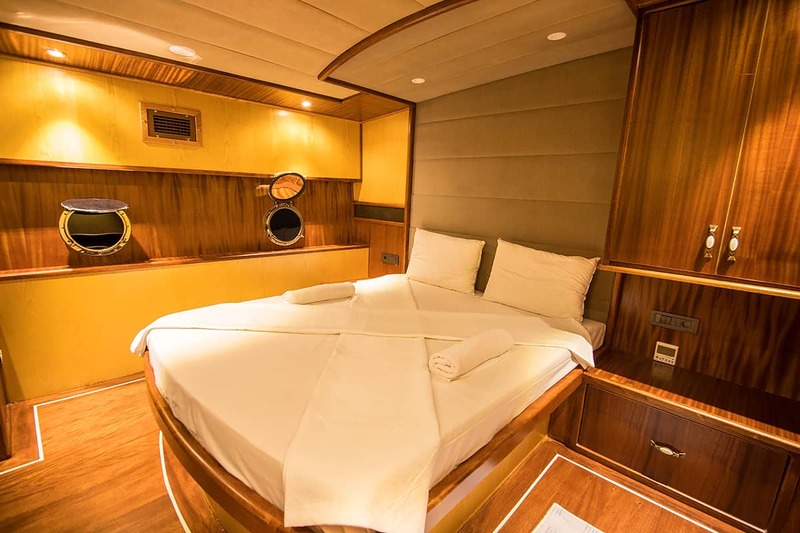 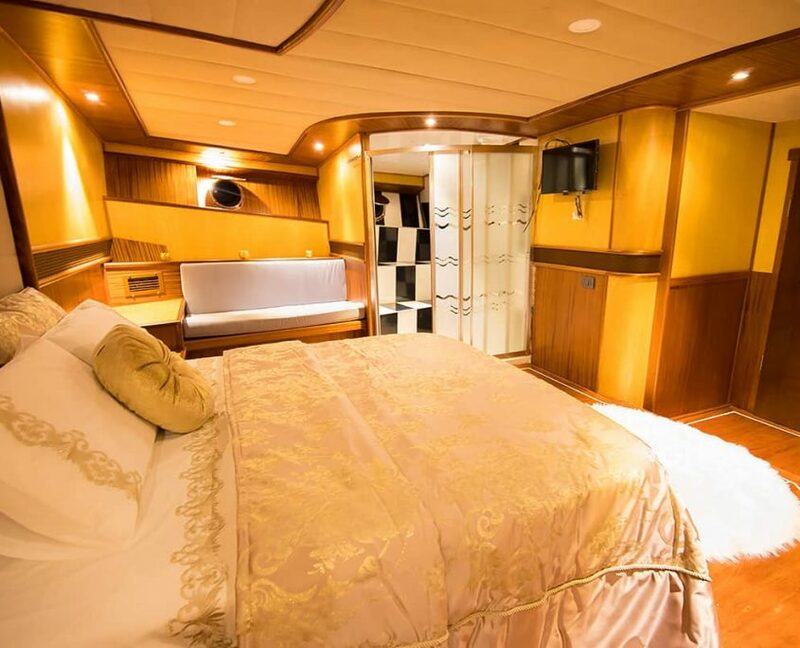 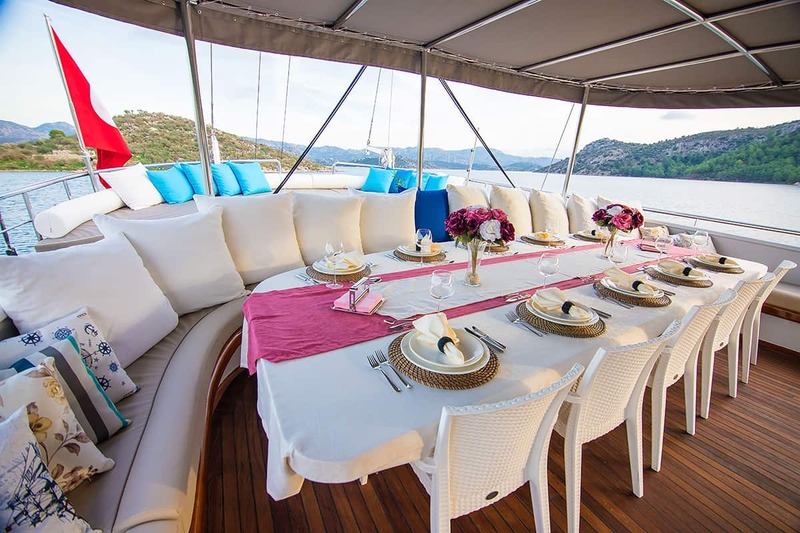 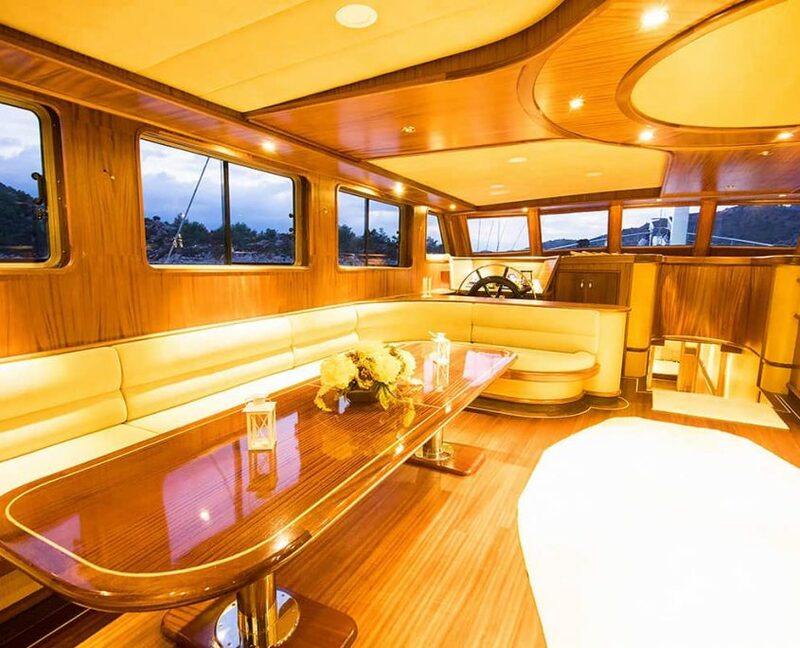 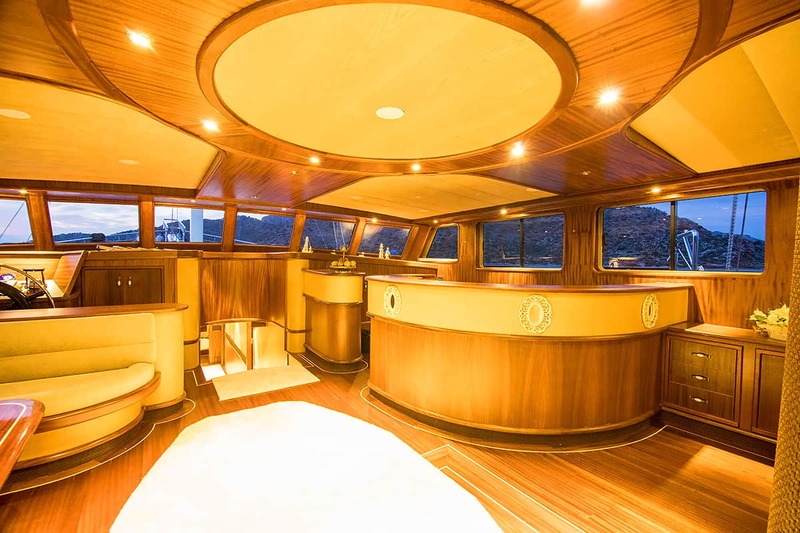 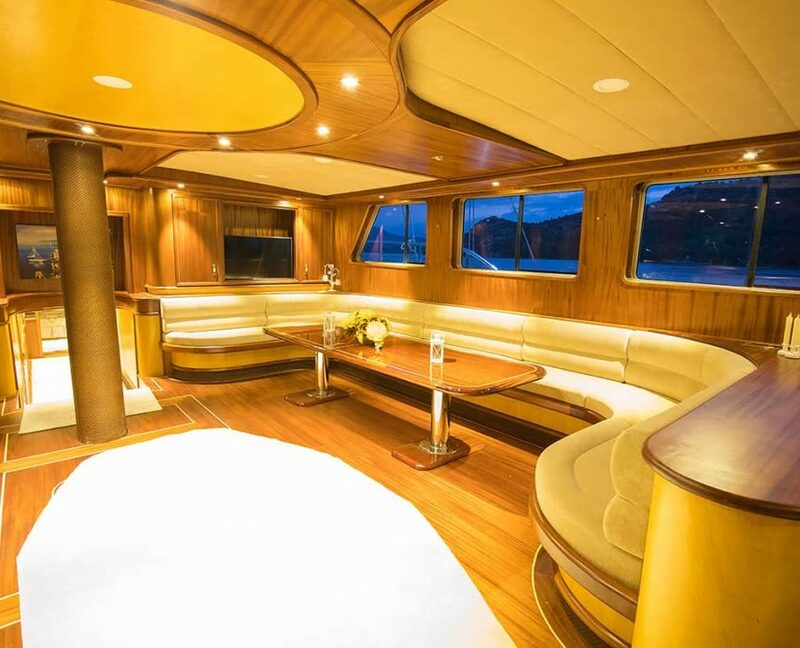 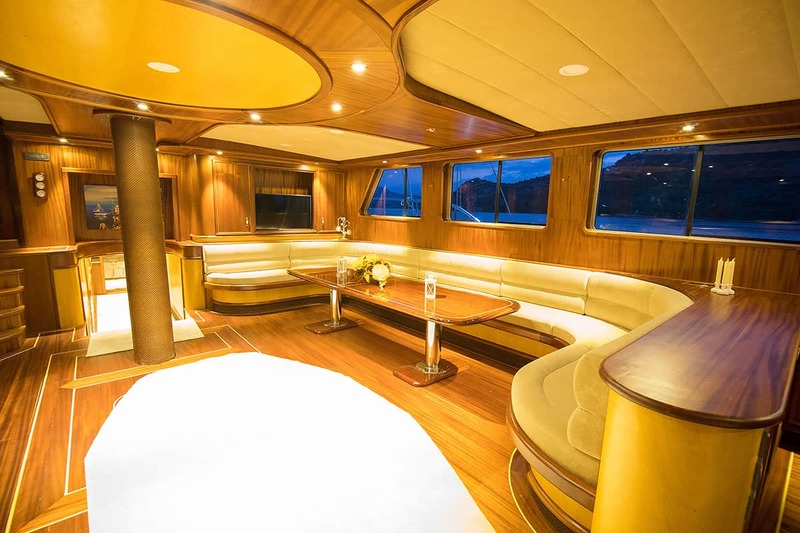 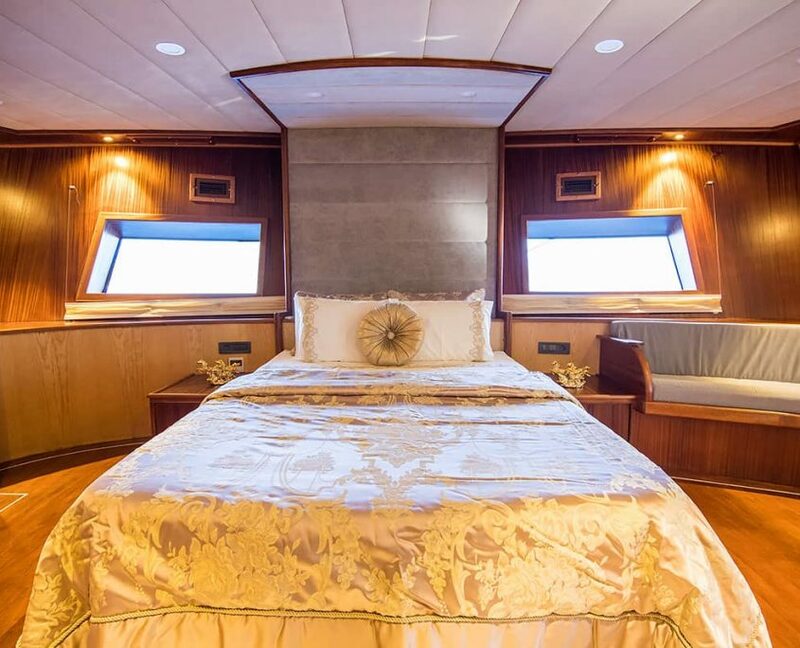 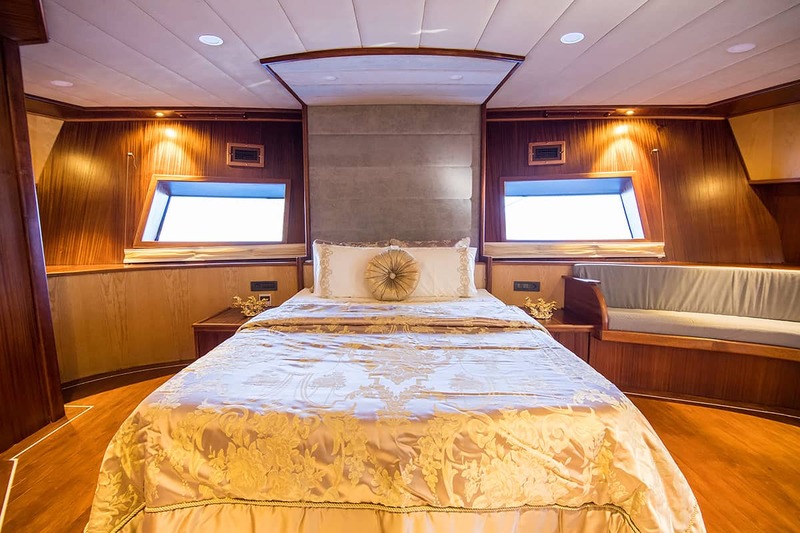 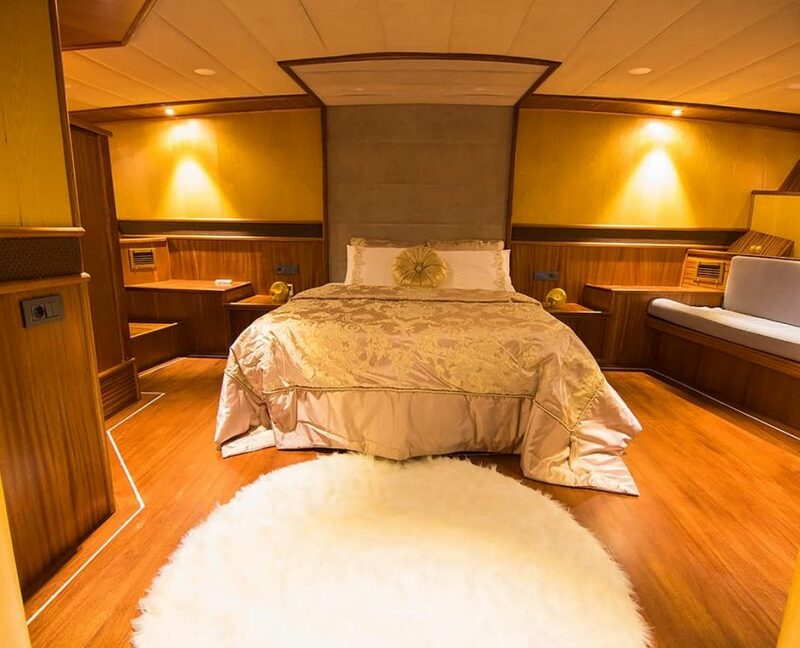 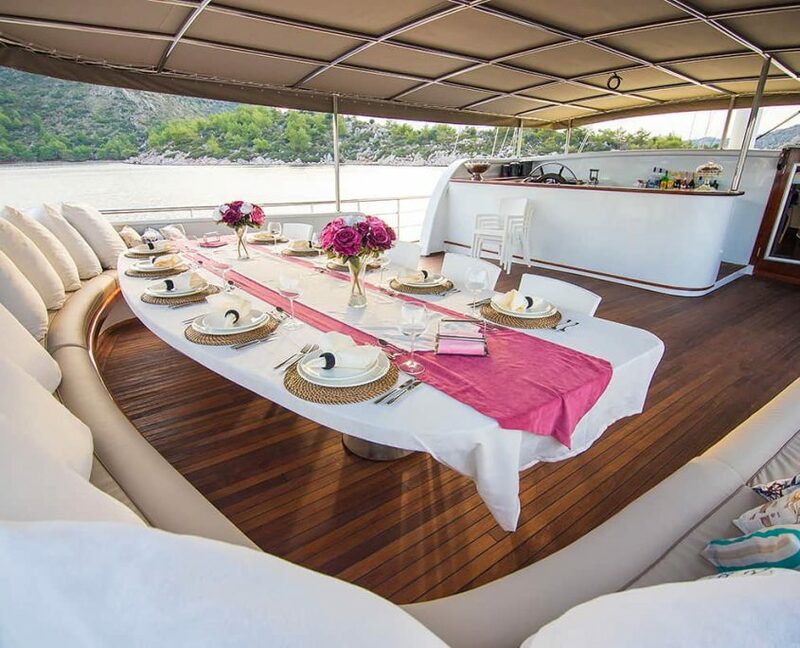 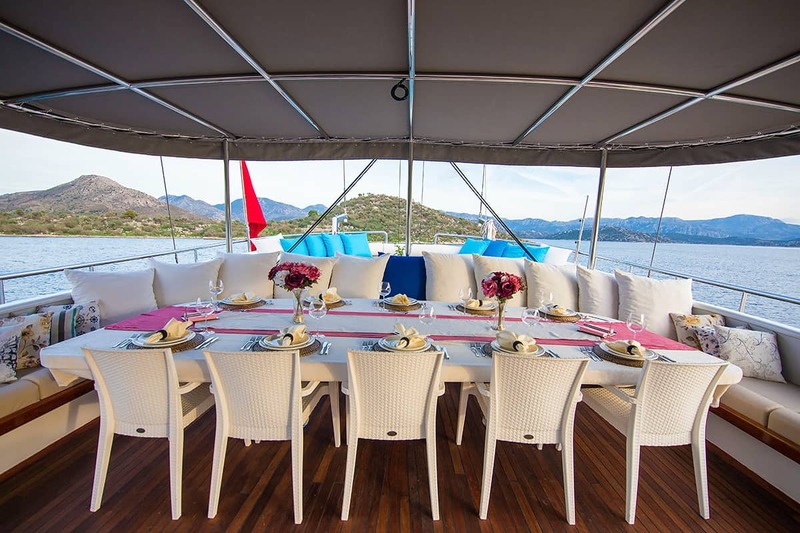 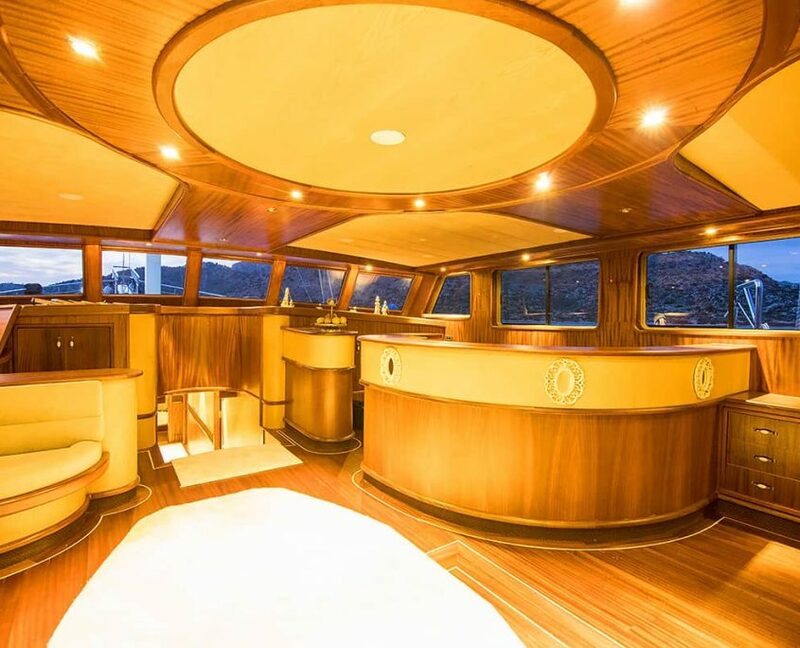 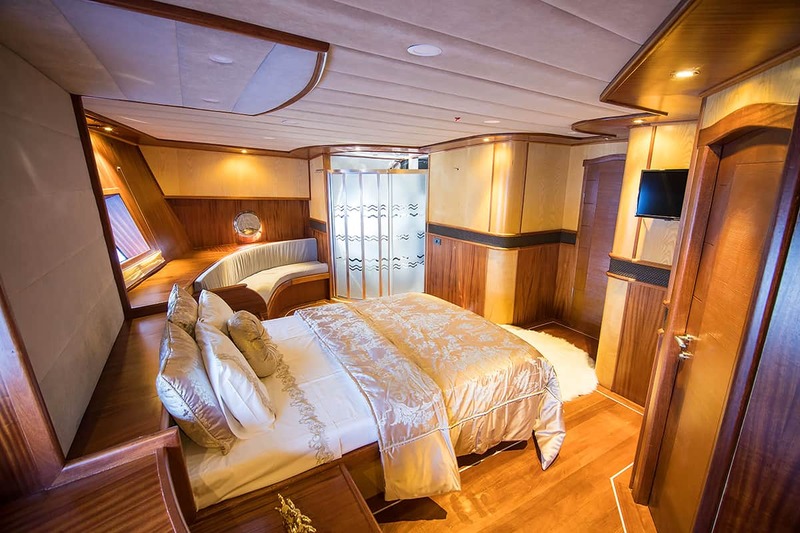 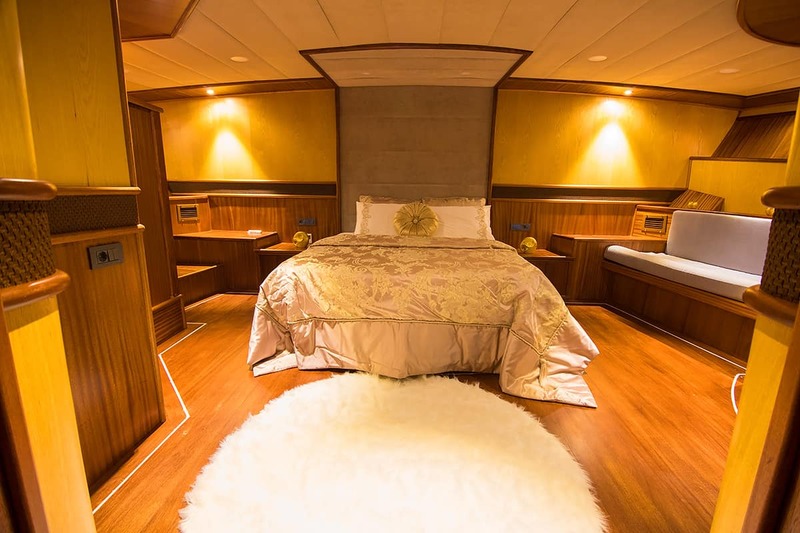 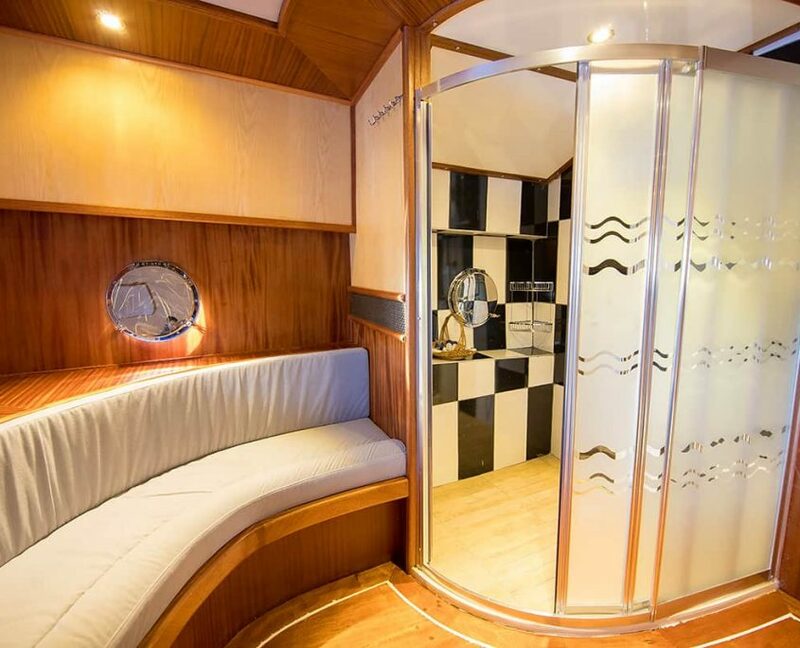 Nevra Queen can accommodate up to 20 guests in 10 elegant cabins. 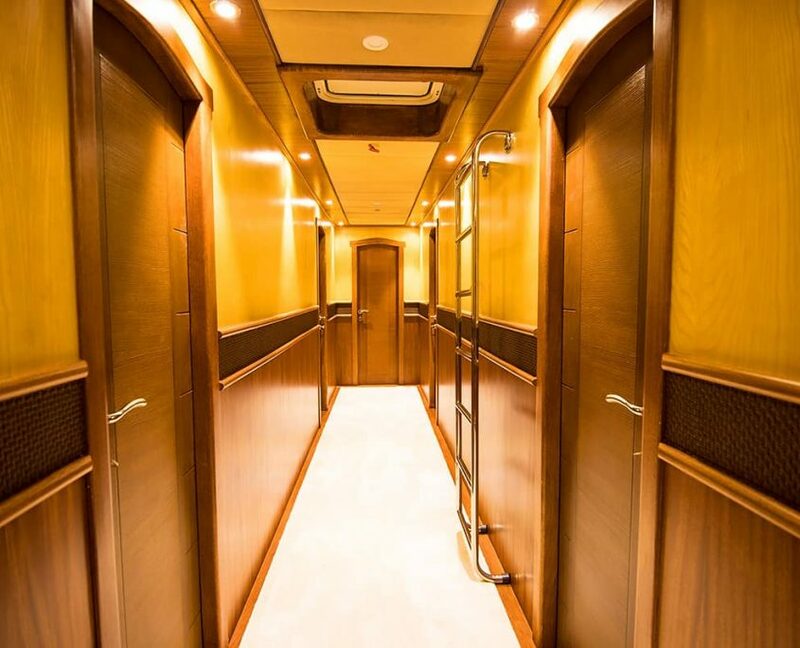 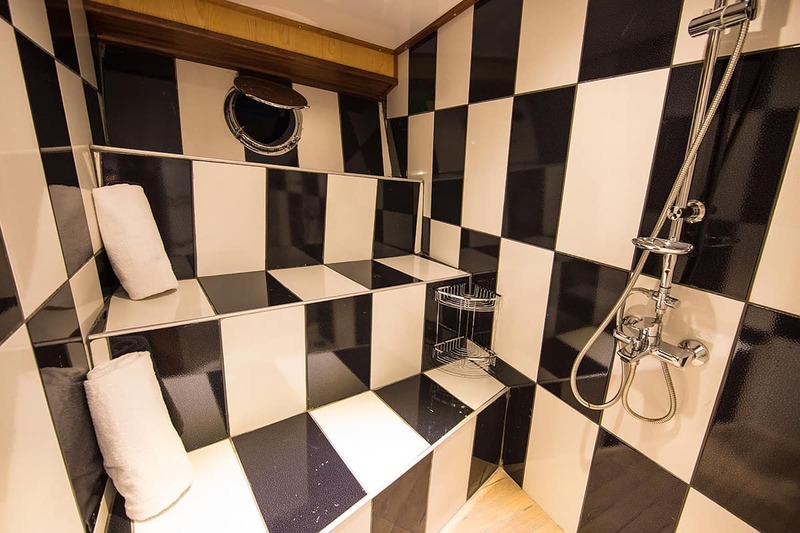 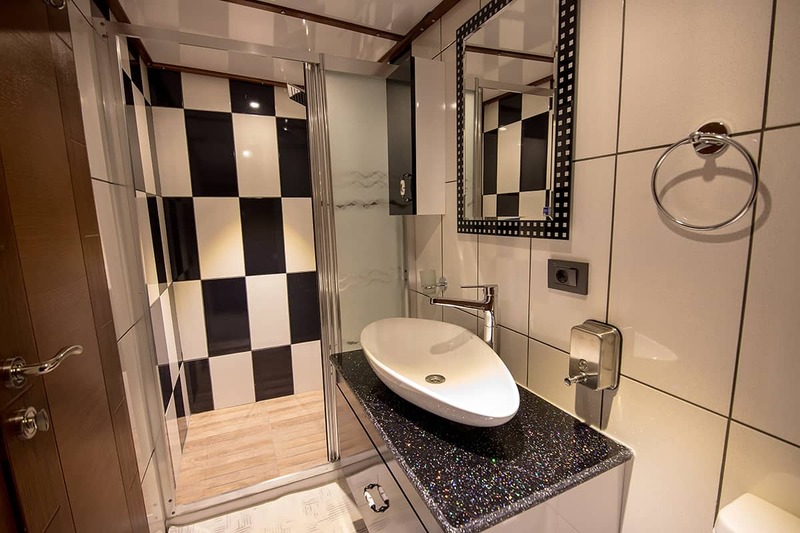 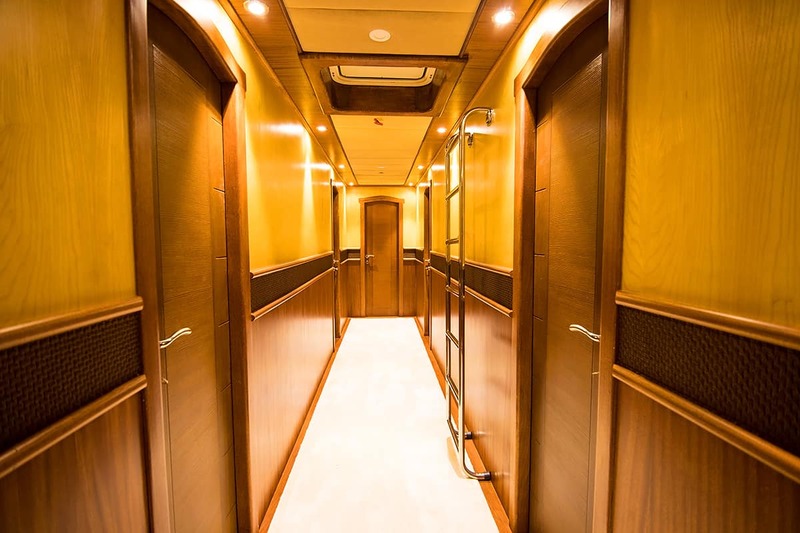 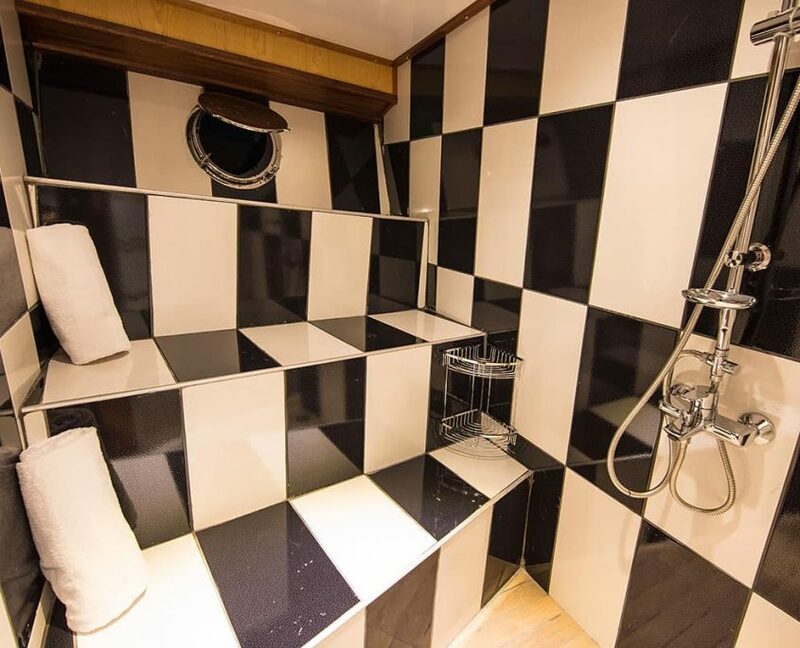 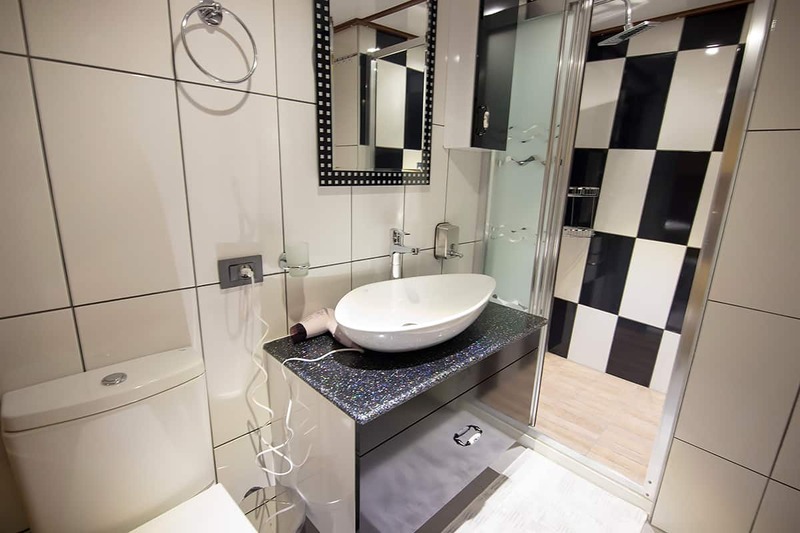 Each cabin features a private shower, air conditioning, LED TV, Satellite and WIFI connection for your comfort and extra privacy. 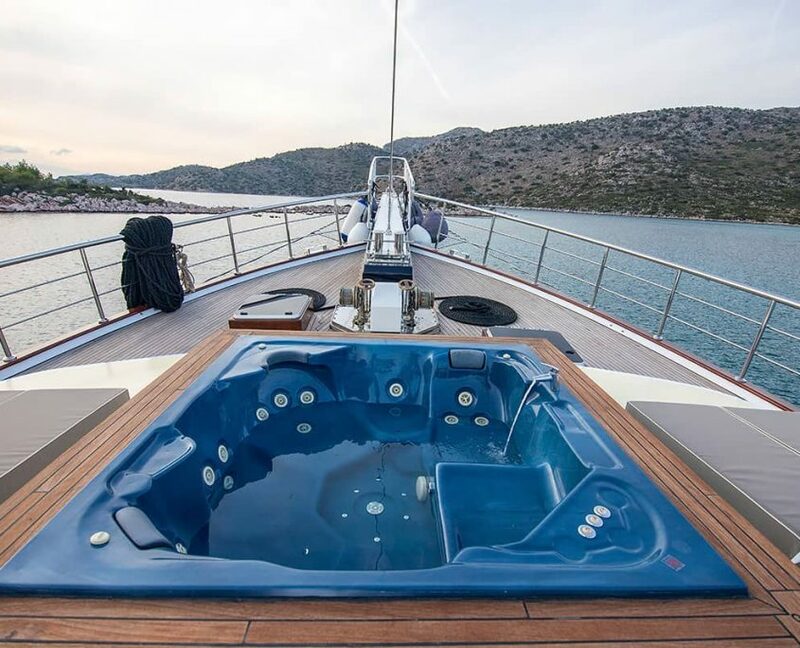 On the front deck, there is a jacuzzi perfect for relaxation, sun mattresses, and a comfortable seating area. 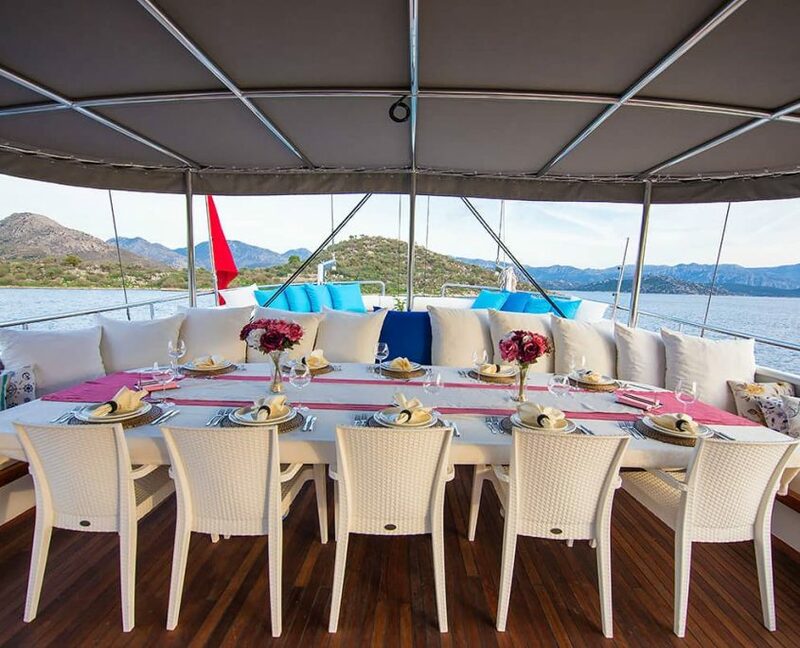 A great crew on board will match perfectly the high standards of the boat itself. 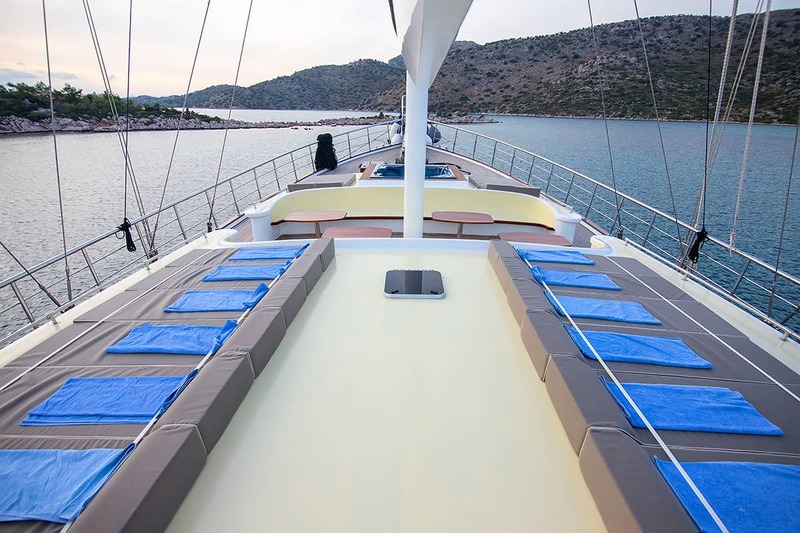 You can expect the most luxurious service, so you can be stress-free and relax at all times. The experience of exploring and cruising along the Turkish coast with family and friends will be an unforgettable experience. 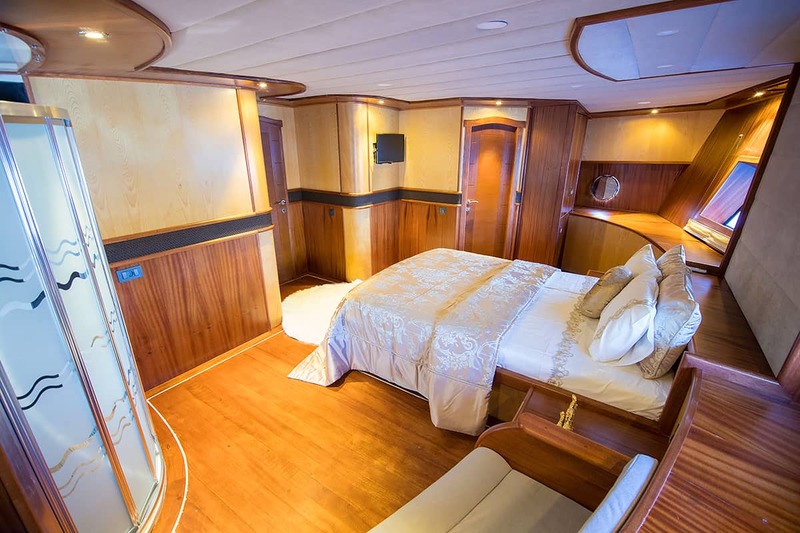 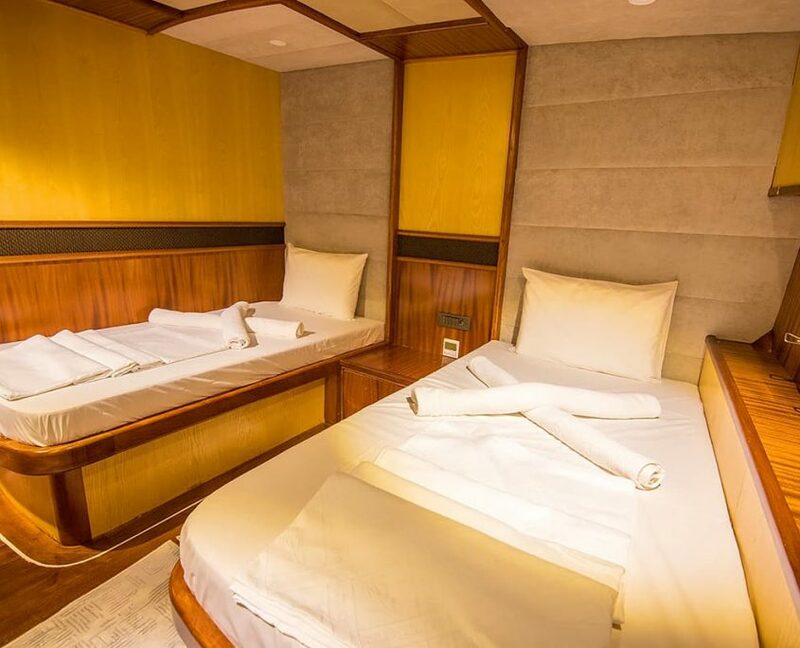 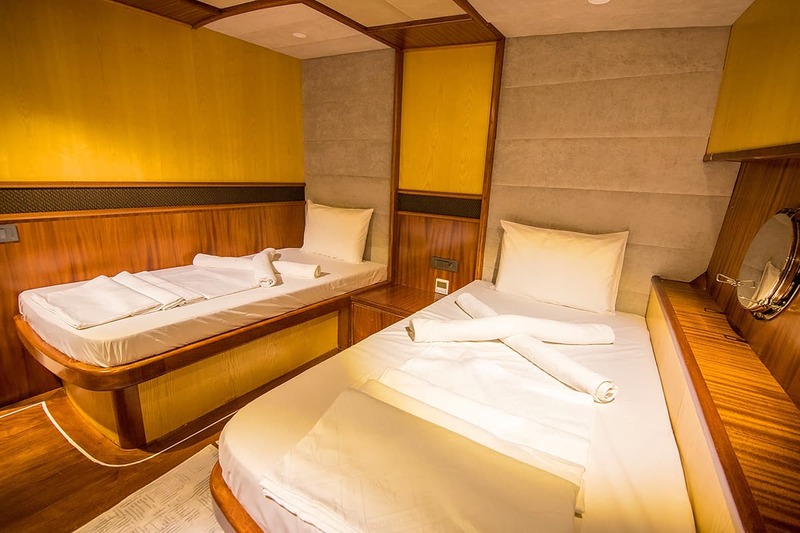 2 Master cabins: Cabin with double bed. 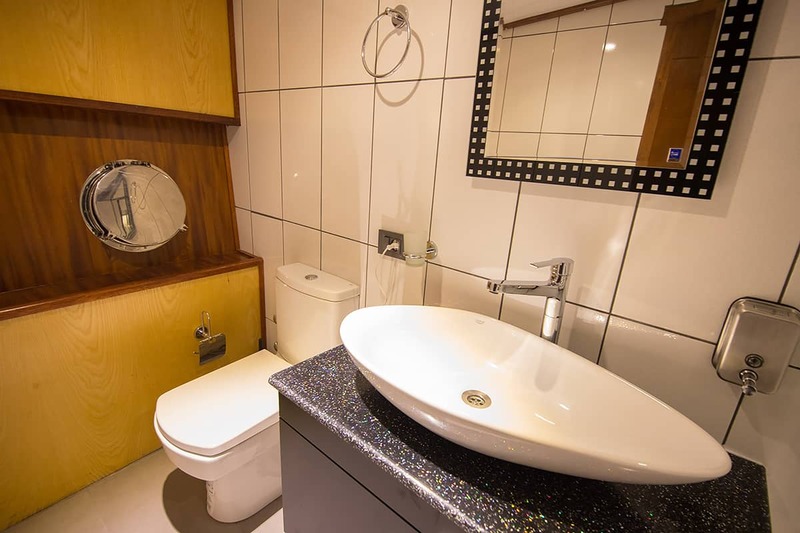 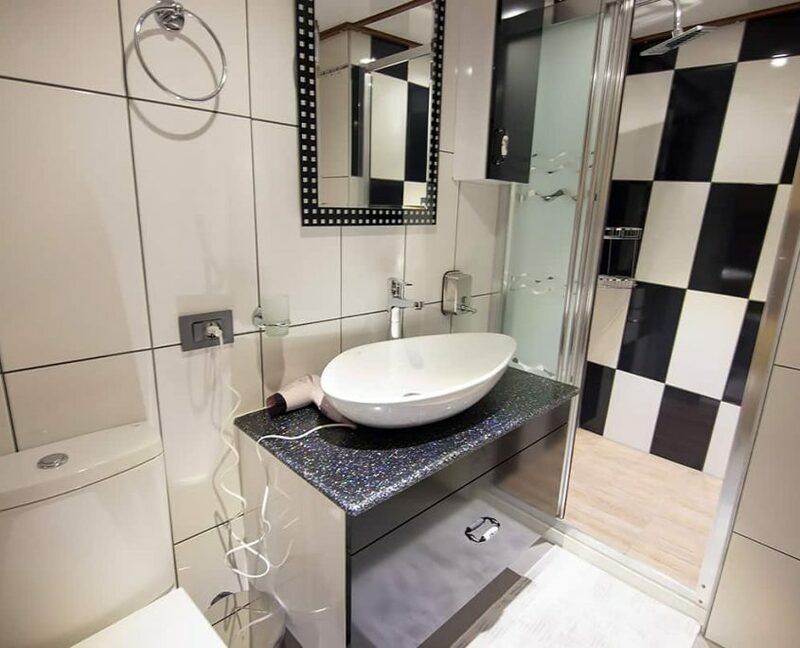 Private bathroom with shower box and home type toilet. 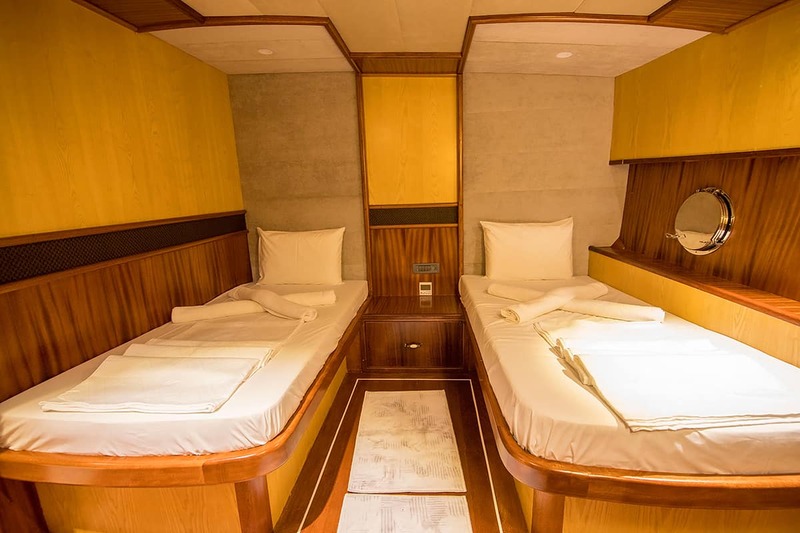 6 Double cabins: Cabin with double bed. 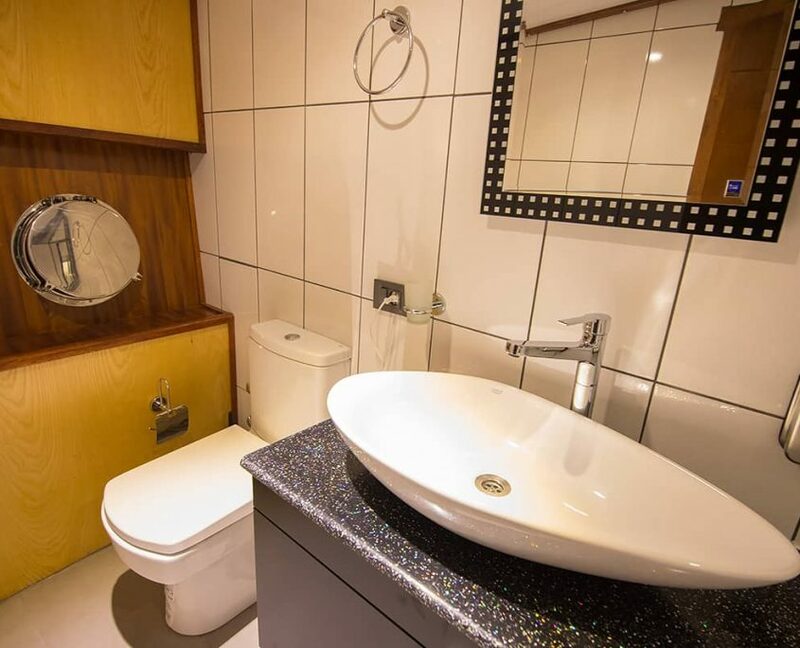 Private bathroom with shower box and home type toilet. 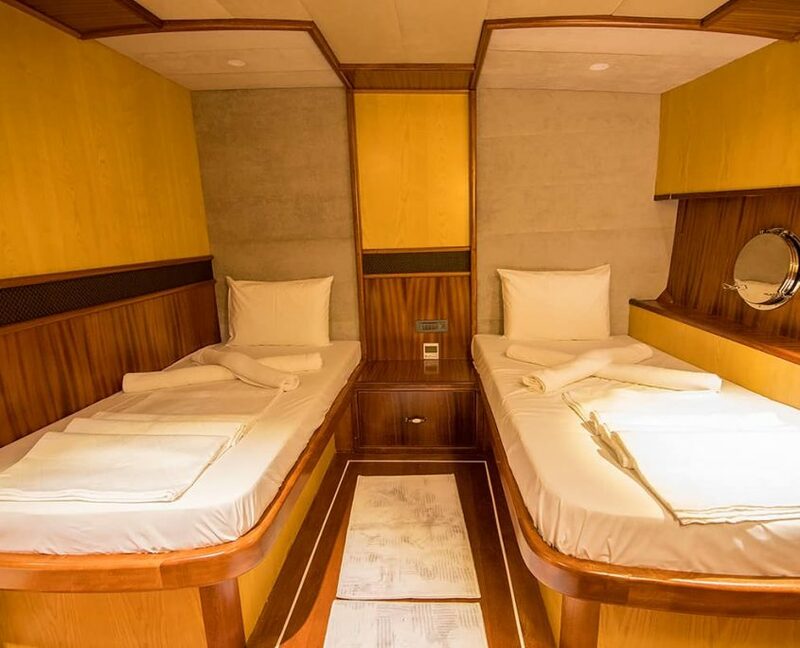 2 Twin cabins: Cabin with twin bed. 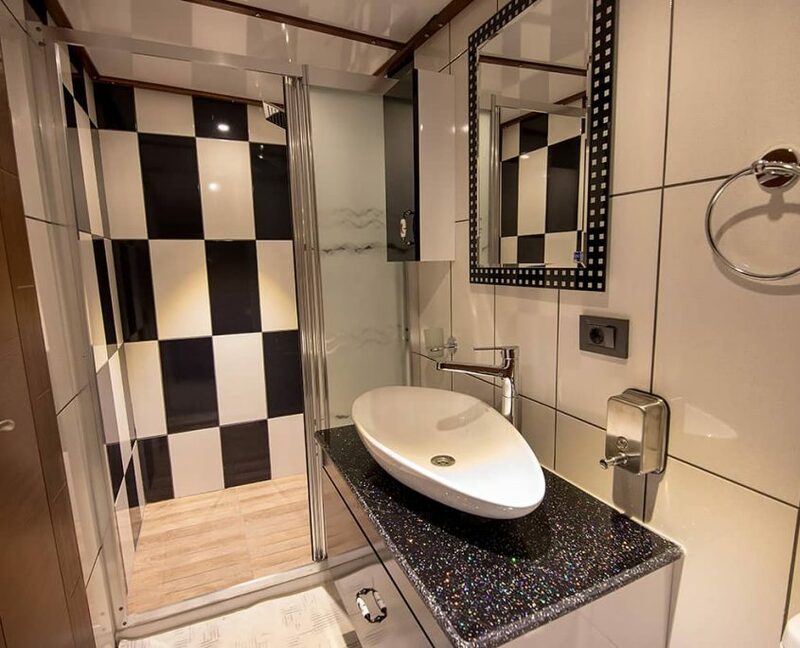 Private bathroom with shower box and home type toilet. 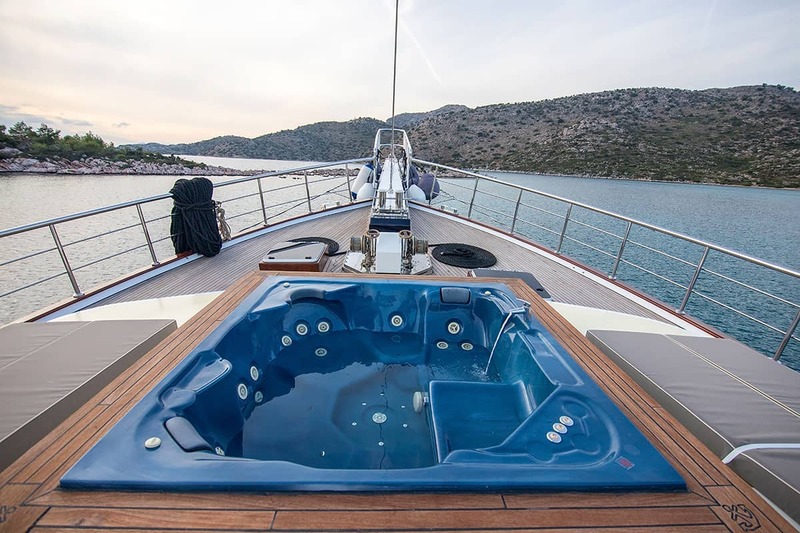 Tender boat: 4.2 meters, 100 HP, Water skiing: fuel per usage, Jet ski: fuel per usage, Donut ride: fuel per usage, Banana ride: fuel per usage, Wakeboard: fuel per usage, Canoe, Paddleboard, Sun mattresses, Sun sail for shade in front of the gulet, Leisure area in the back side of the deck, Fishing equipment for kids, Sets of masks, snorkels and flippers, Barbecue. 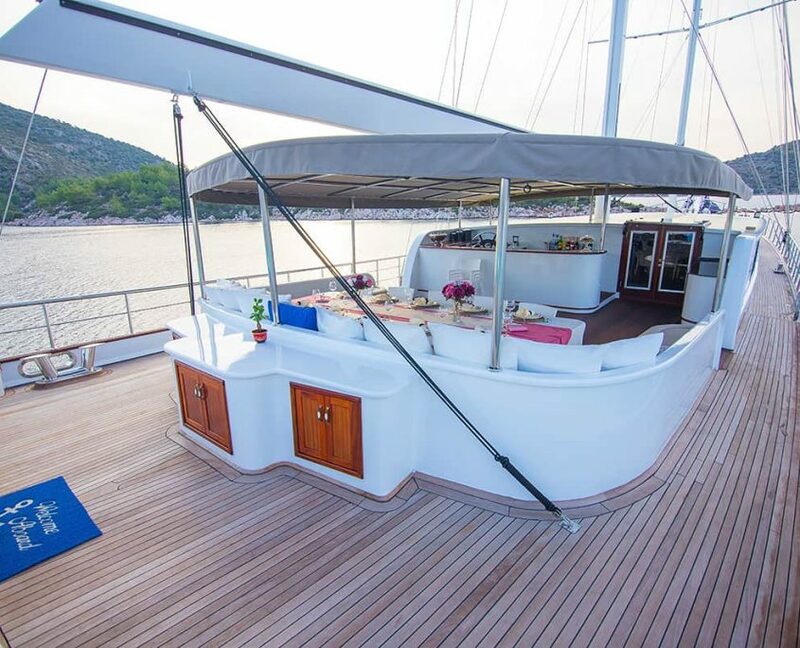 Satellite TV, DVD player, Wi-Fi mobile internet connection, USB connection for multimedia devices, Board games, cards, Icemaker, Espresso machine, Icemaker, Water maker (2 x 150 l/hour), Full regulation safety equipment.